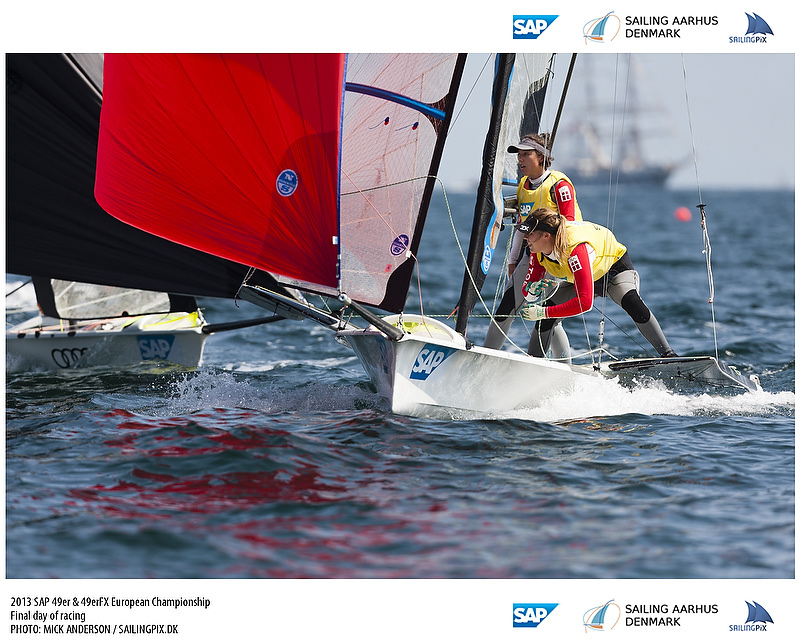 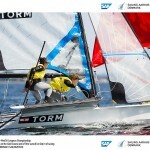 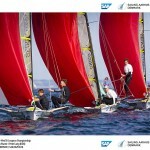 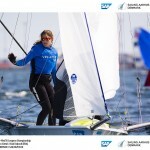 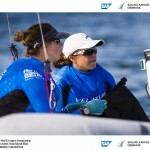 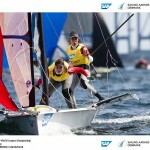 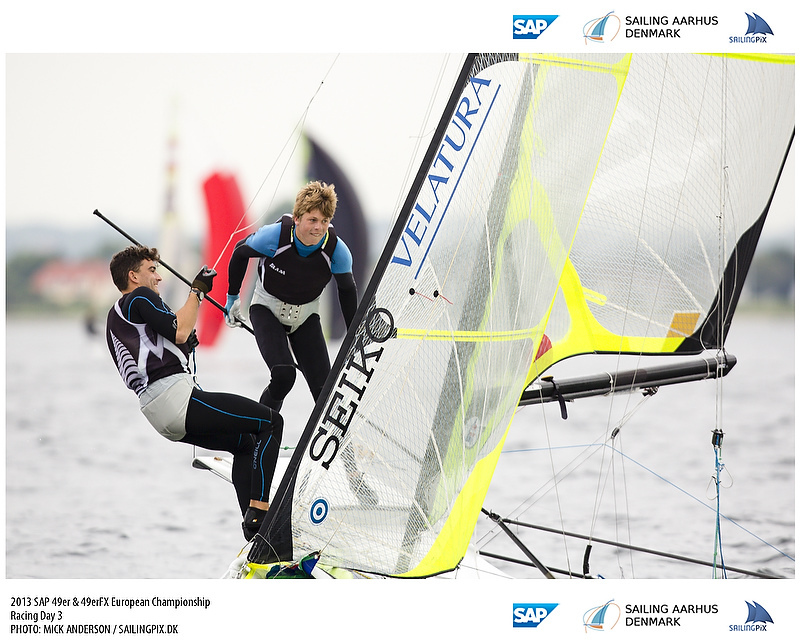 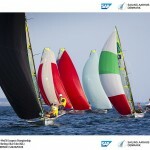 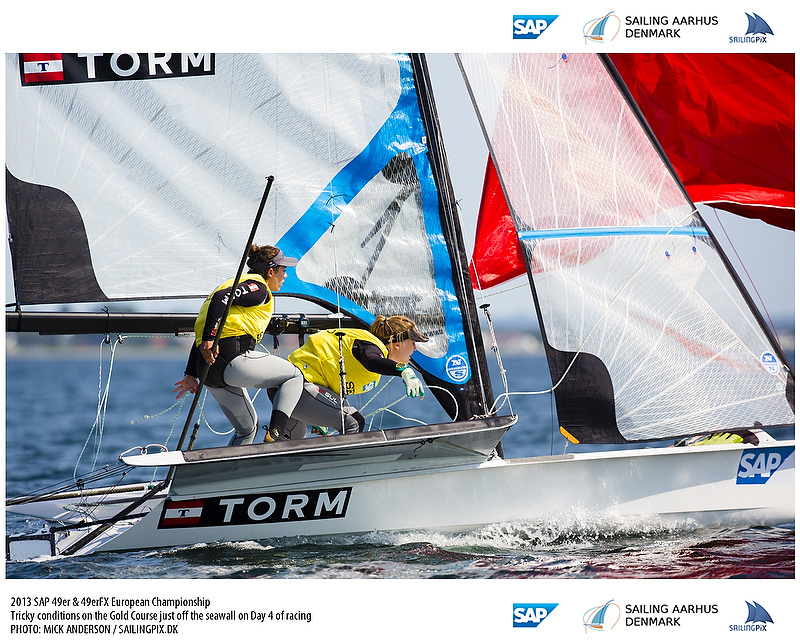 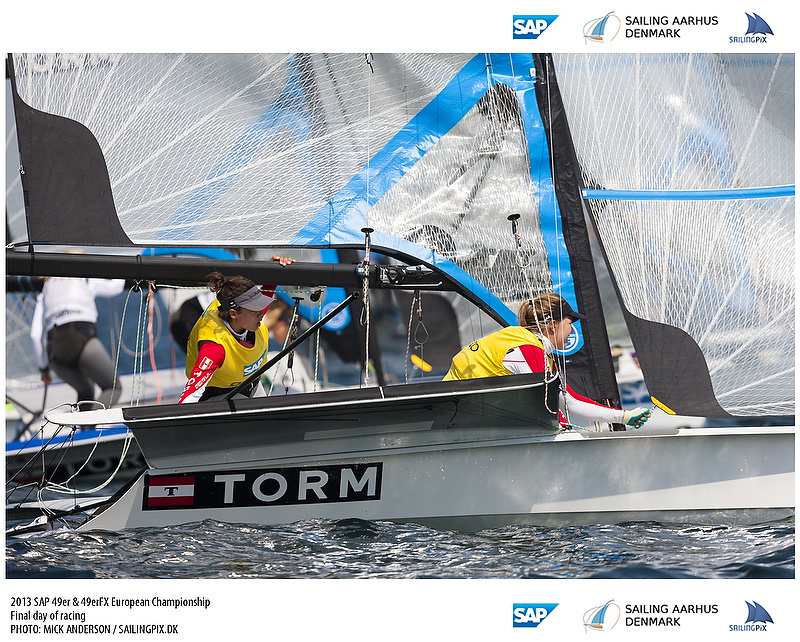 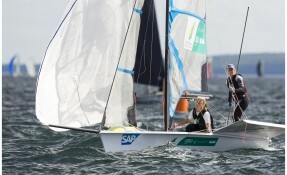 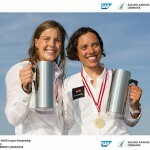 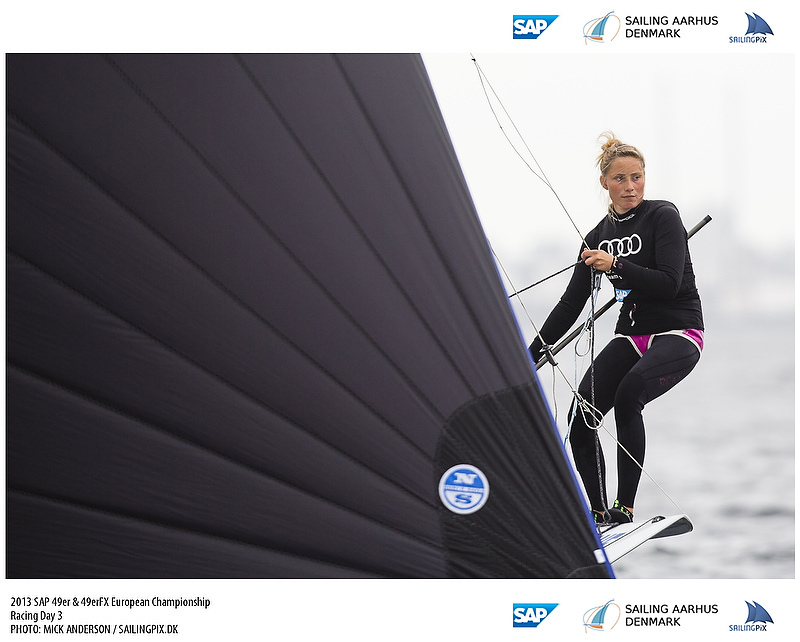 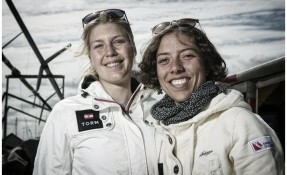 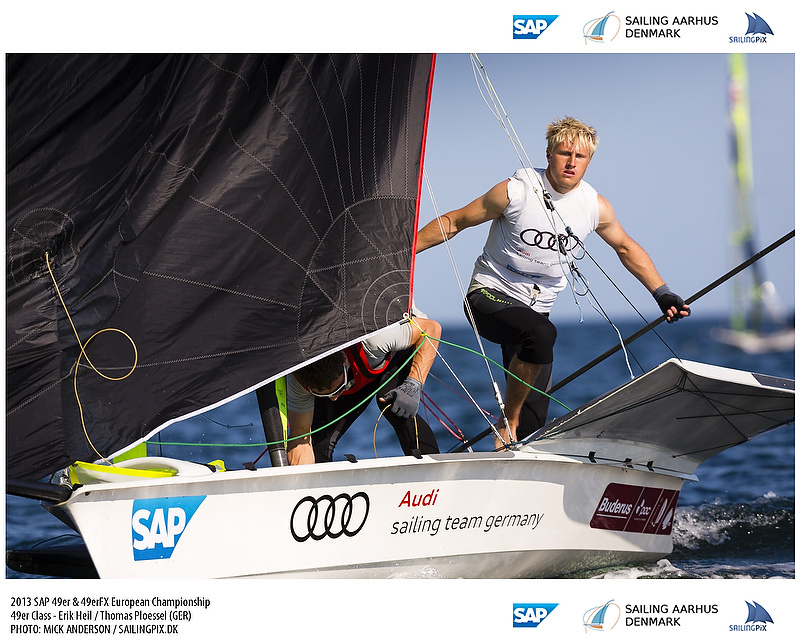 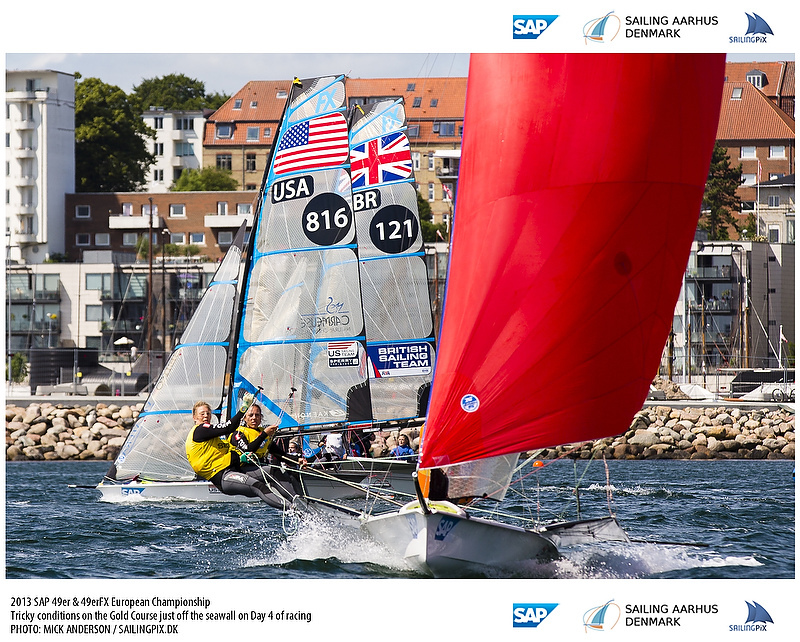 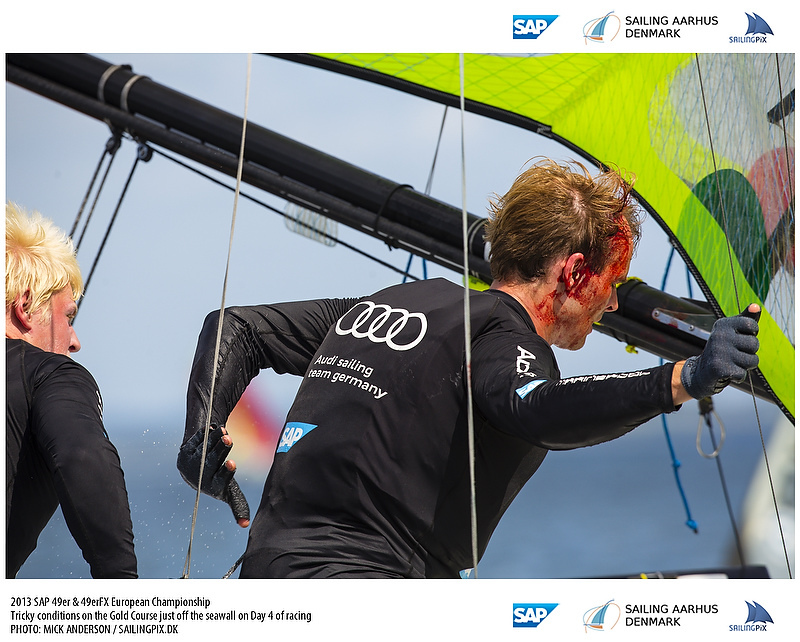 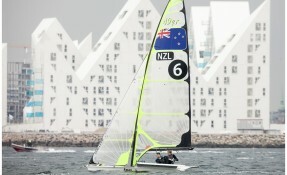 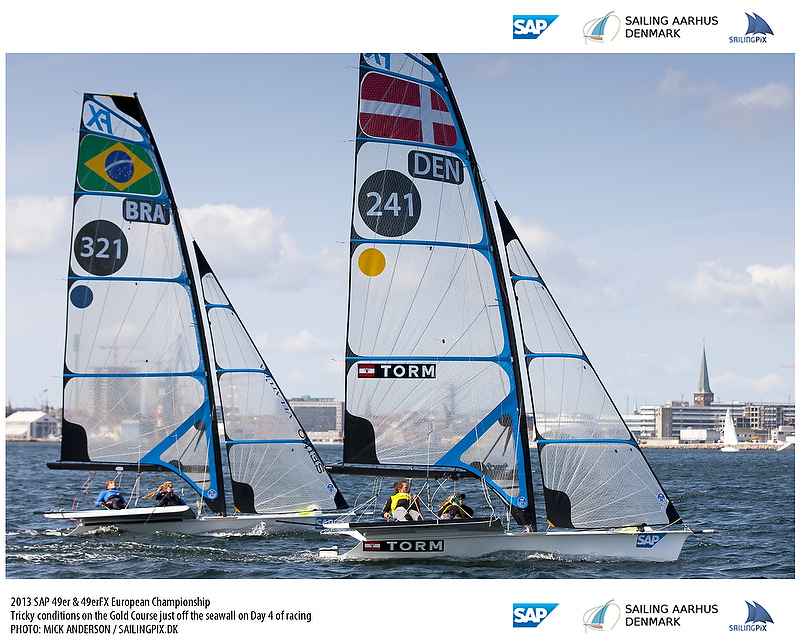 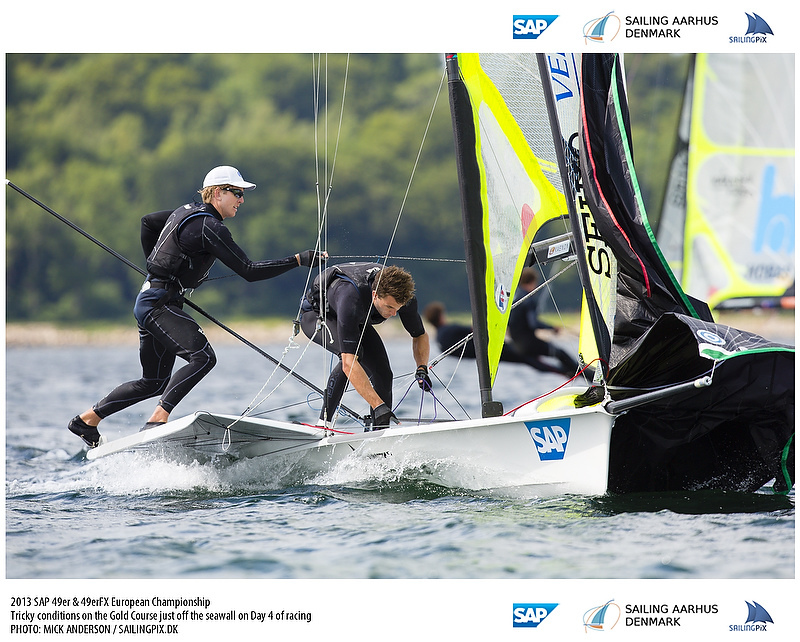 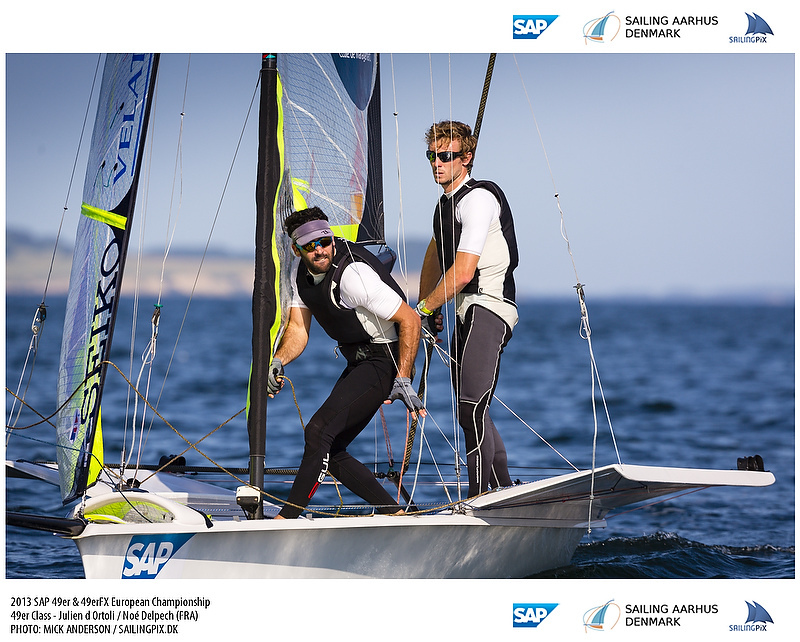 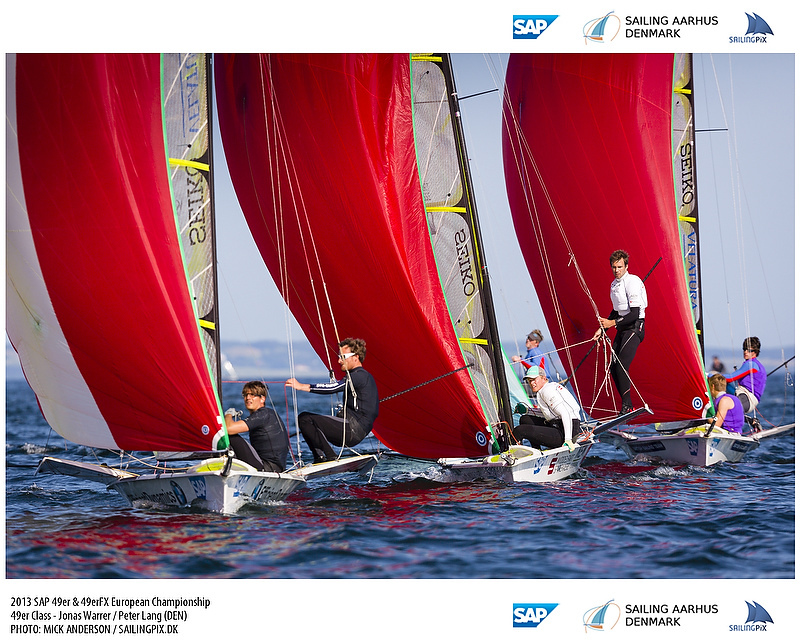 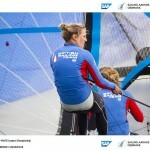 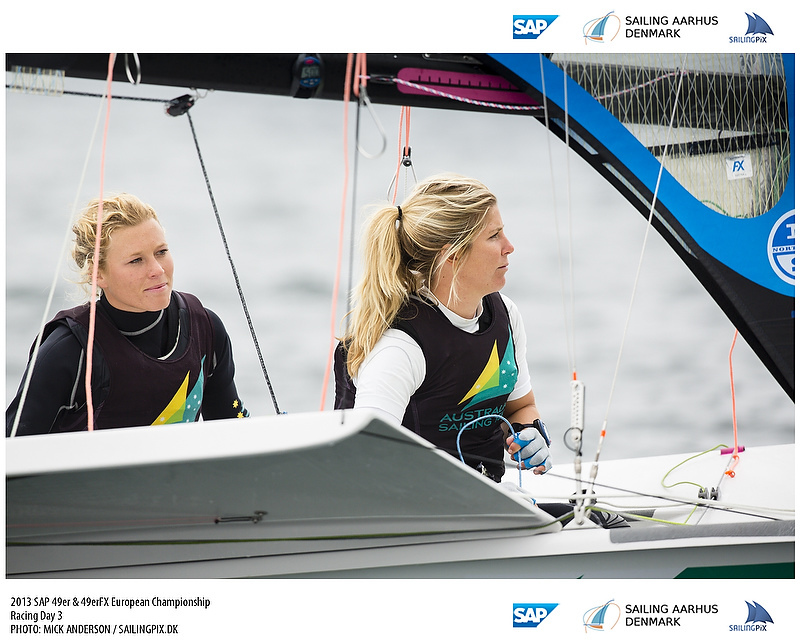 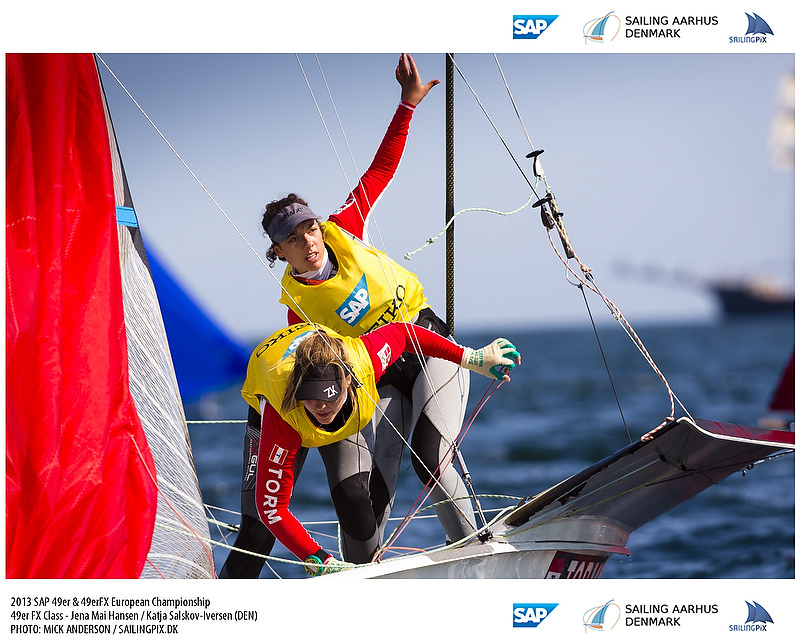 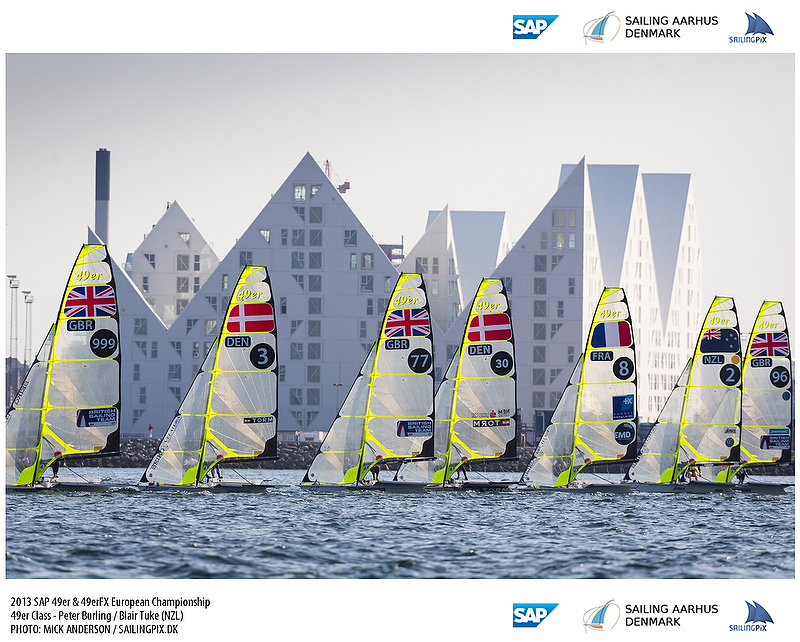 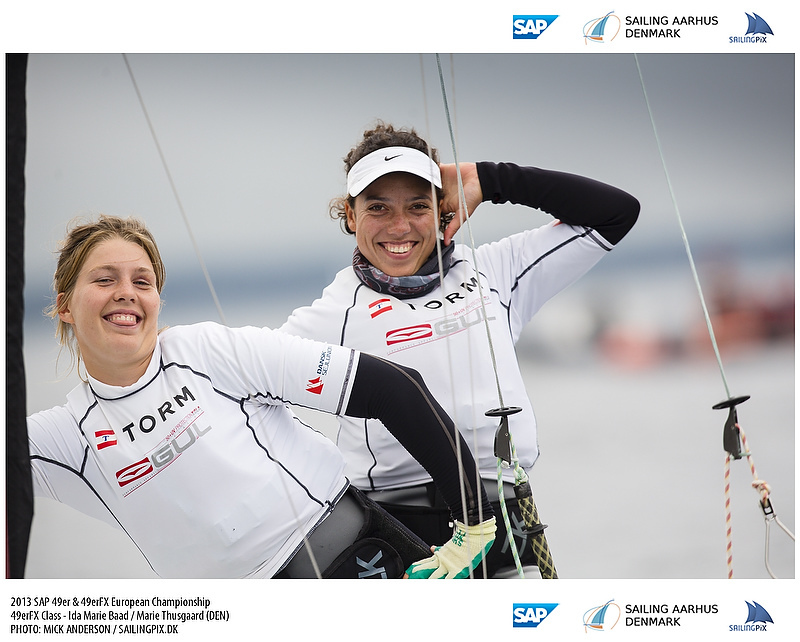 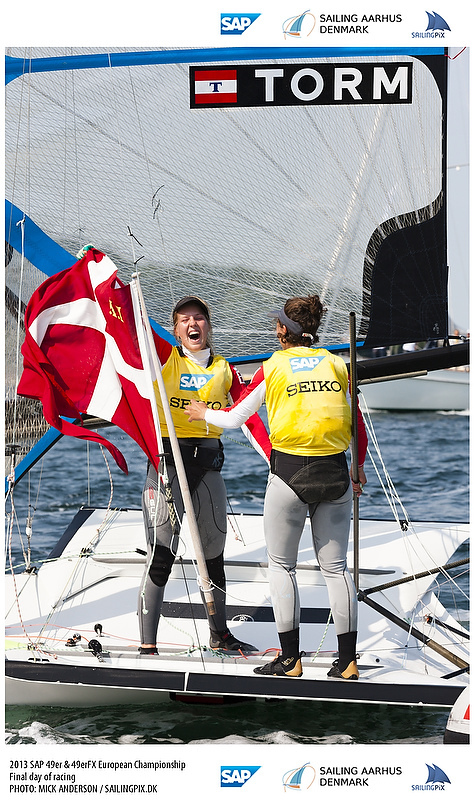 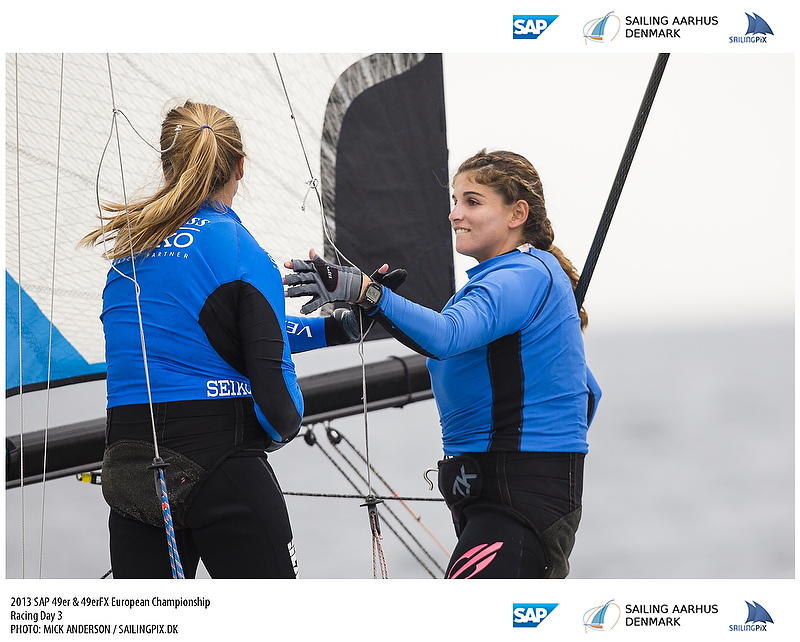 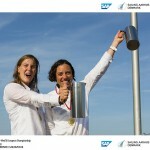 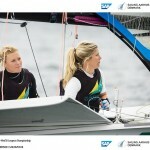 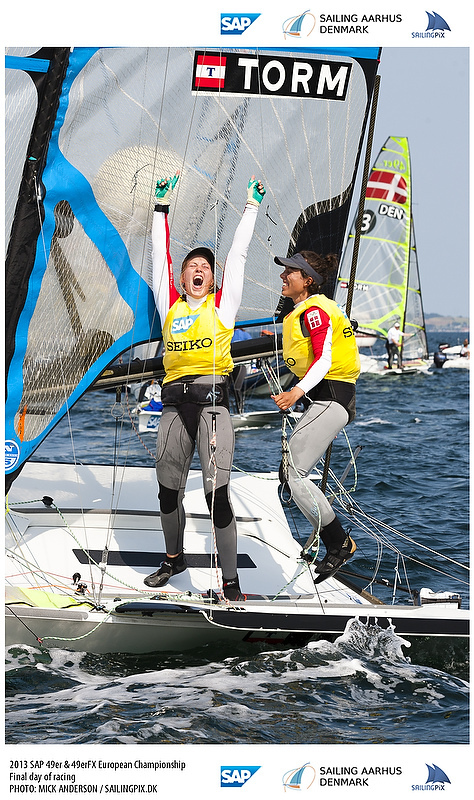 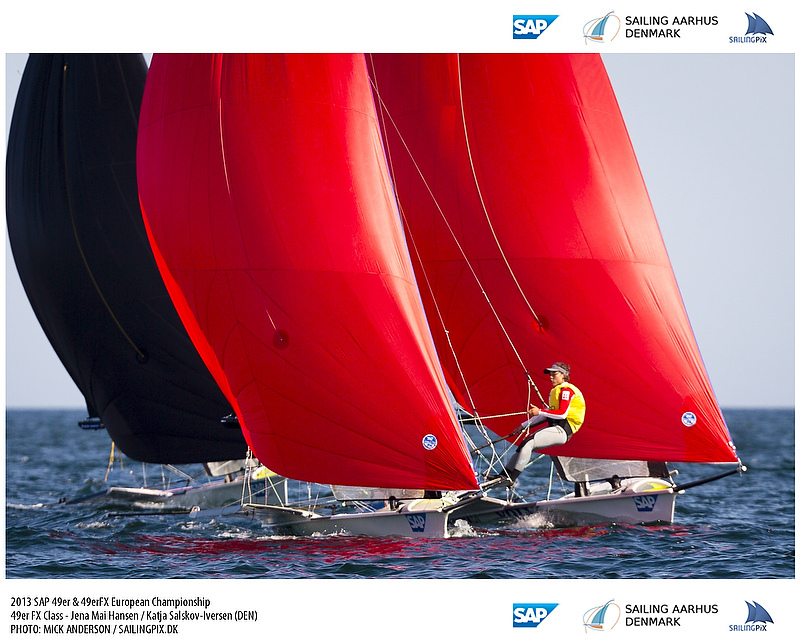 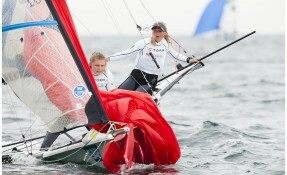 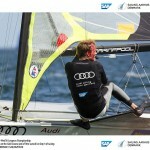 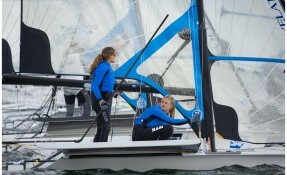 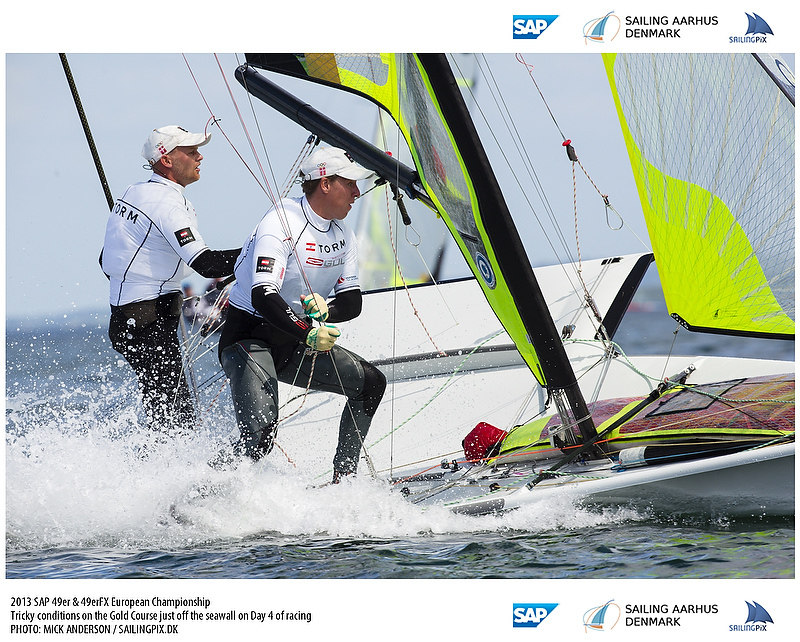 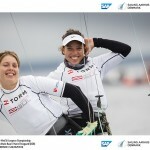 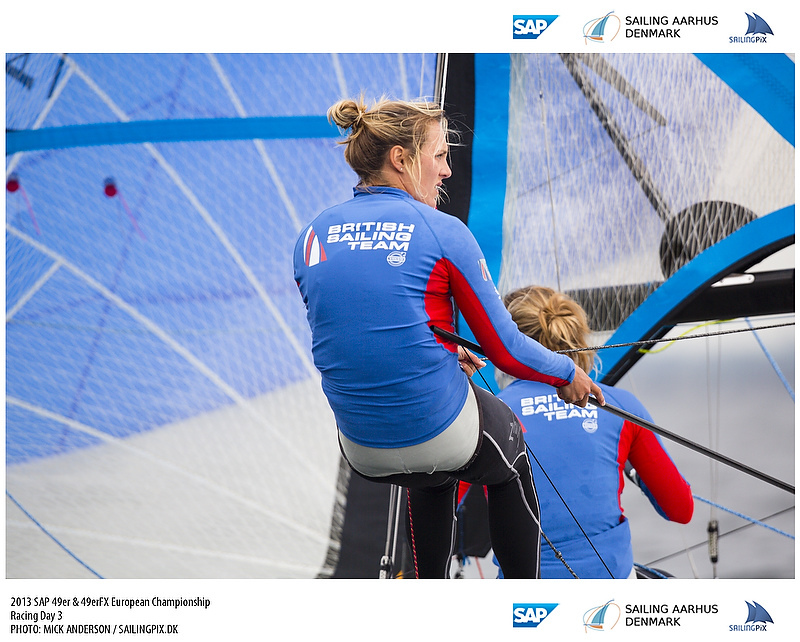 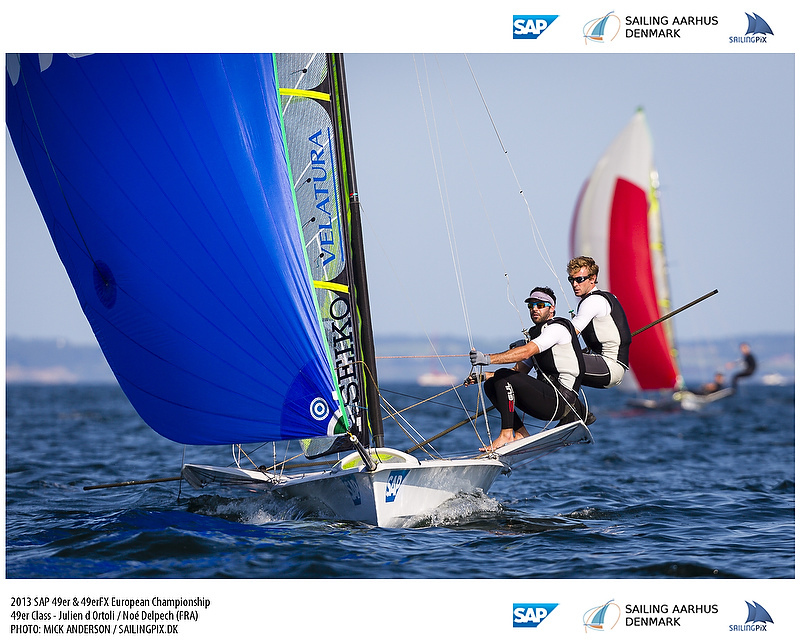 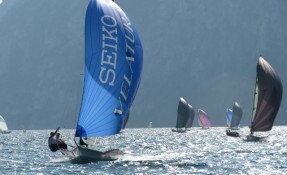 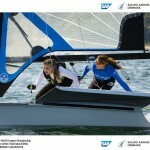 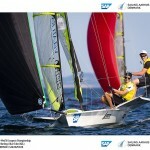 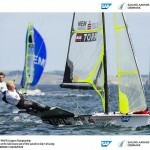 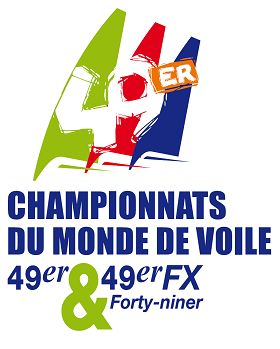 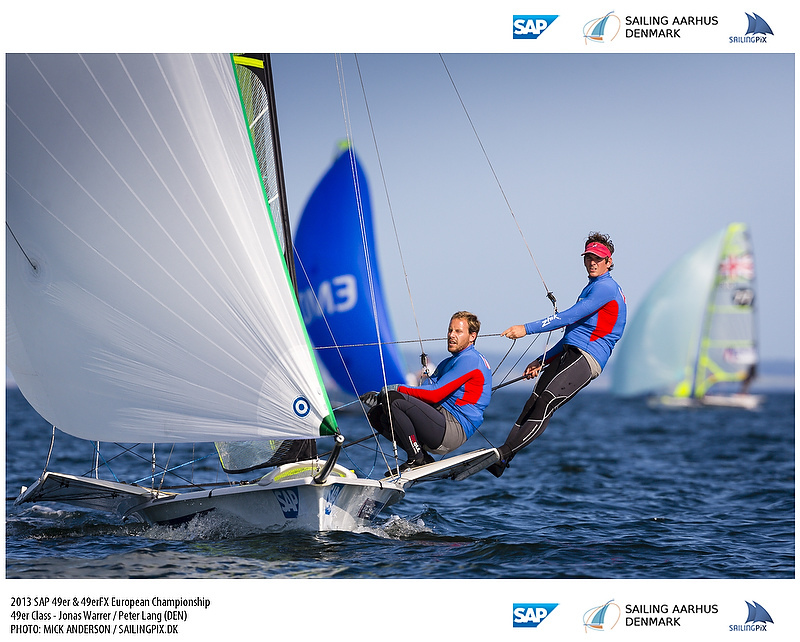 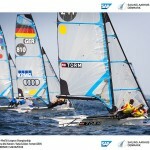 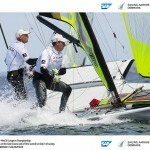 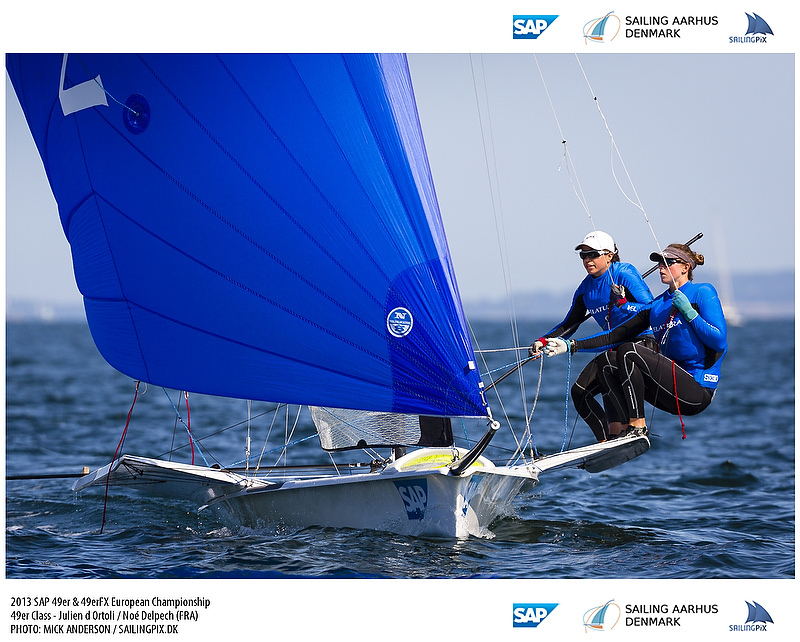 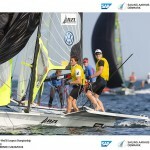 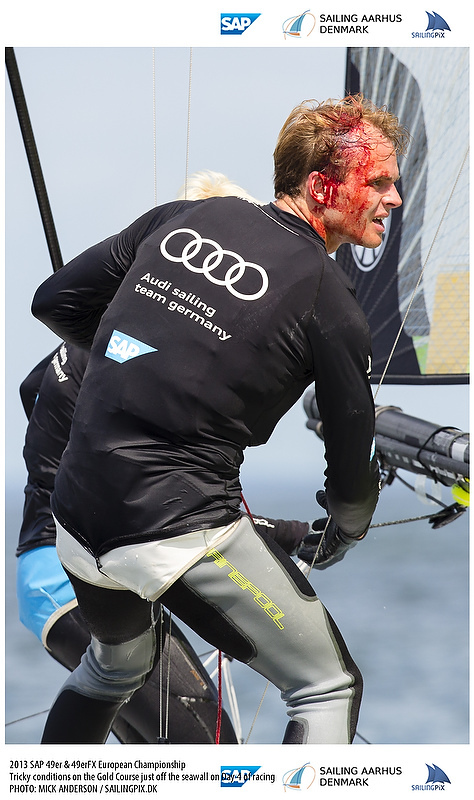 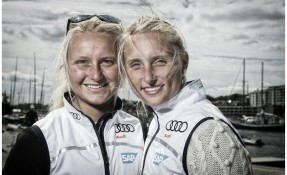 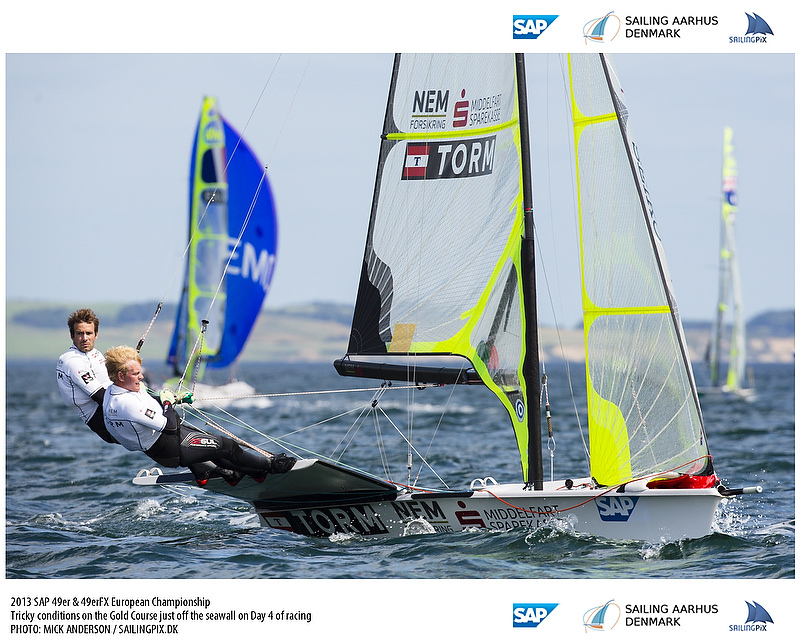 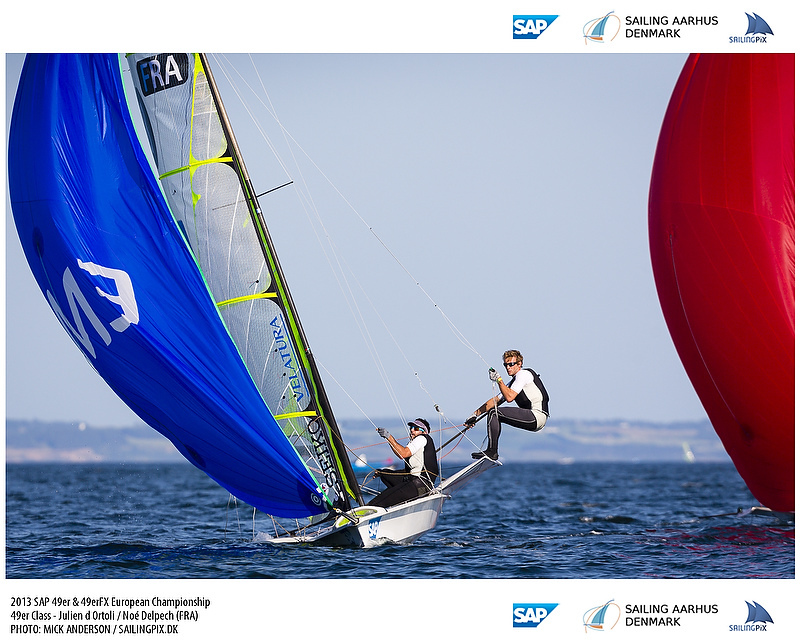 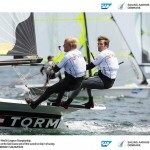 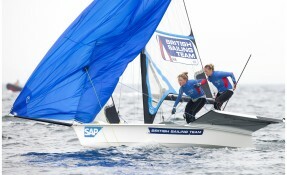 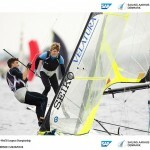 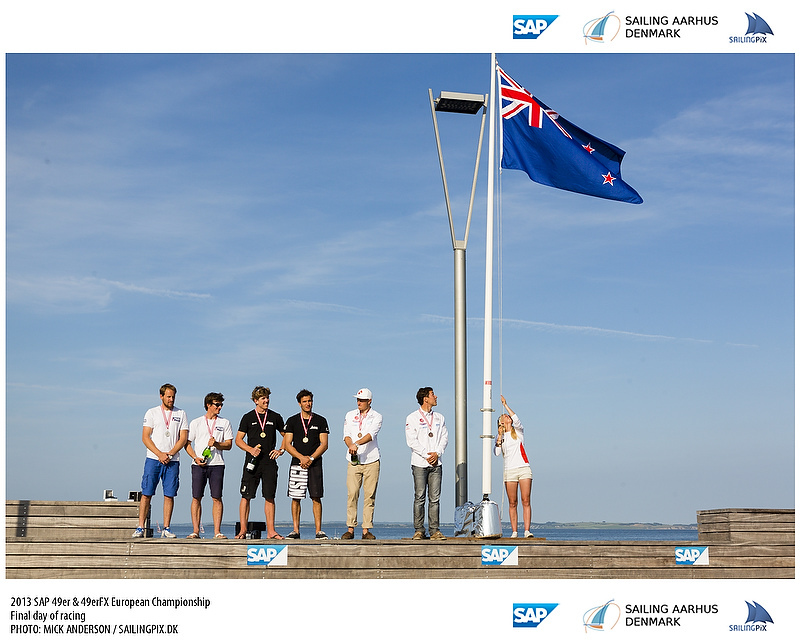 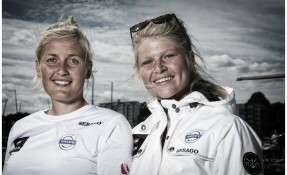 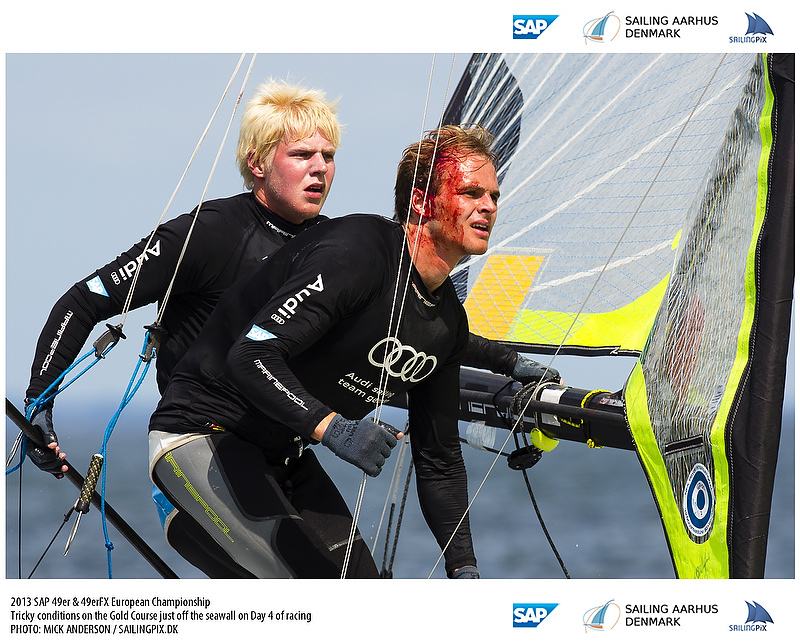 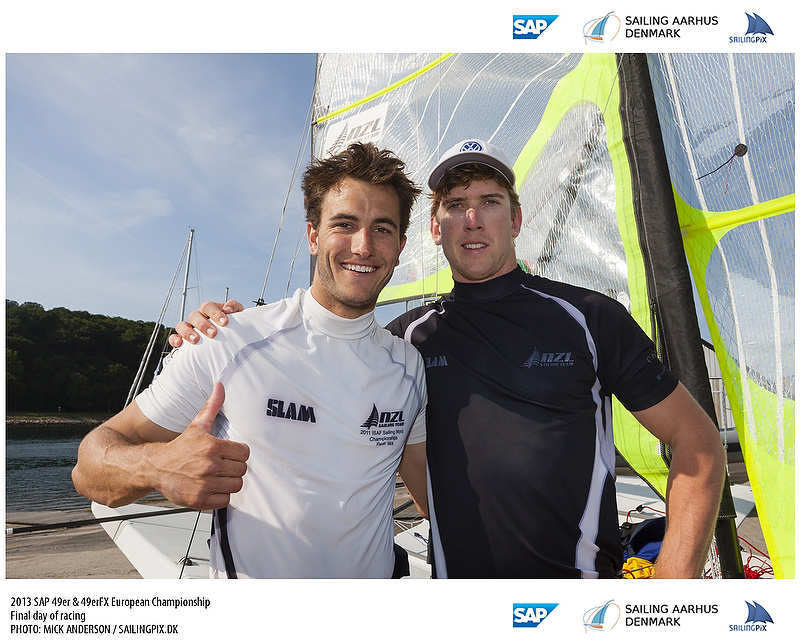 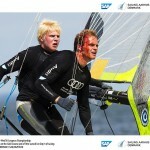 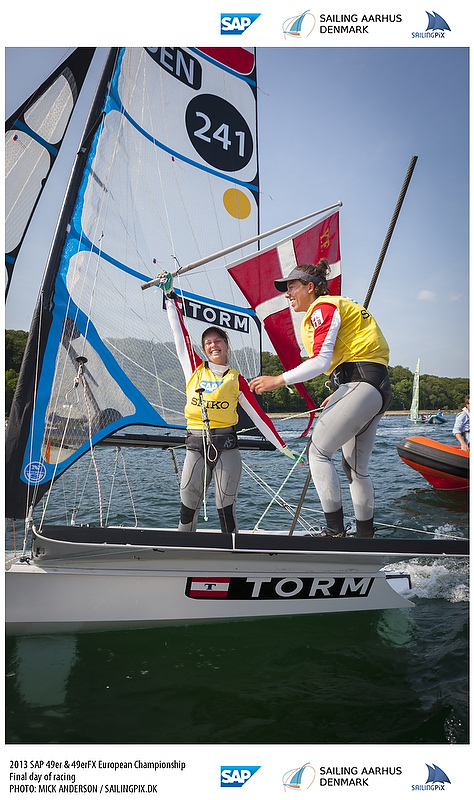 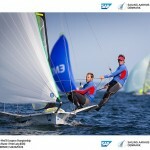 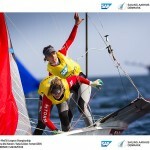 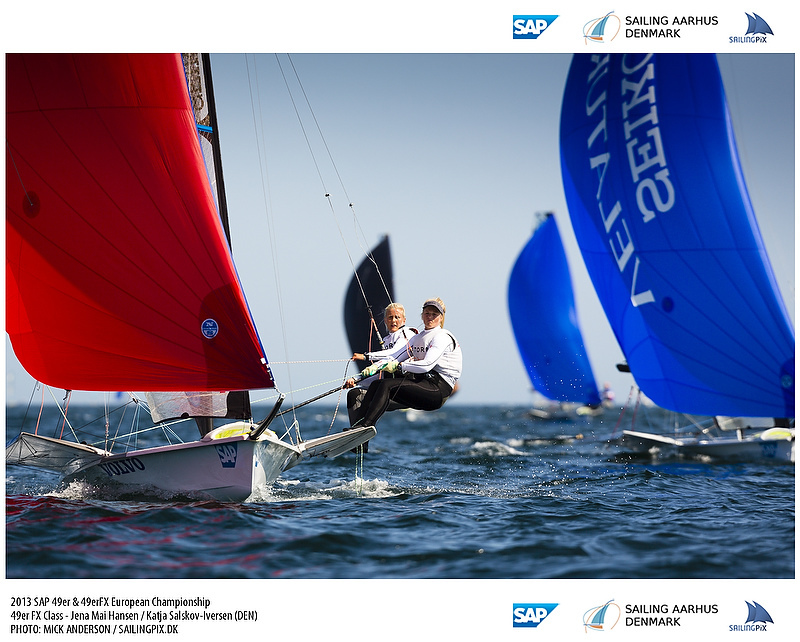 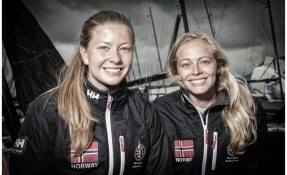 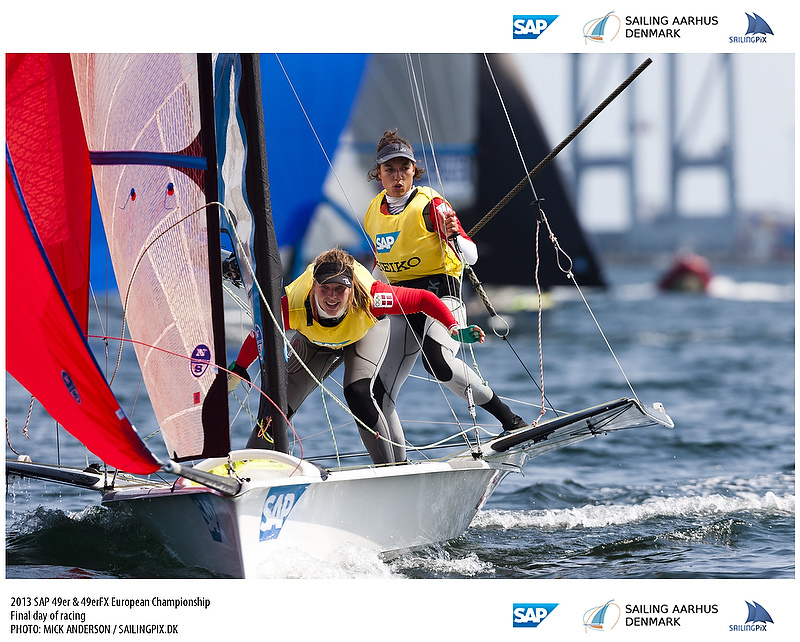 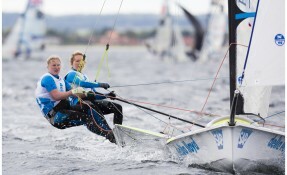 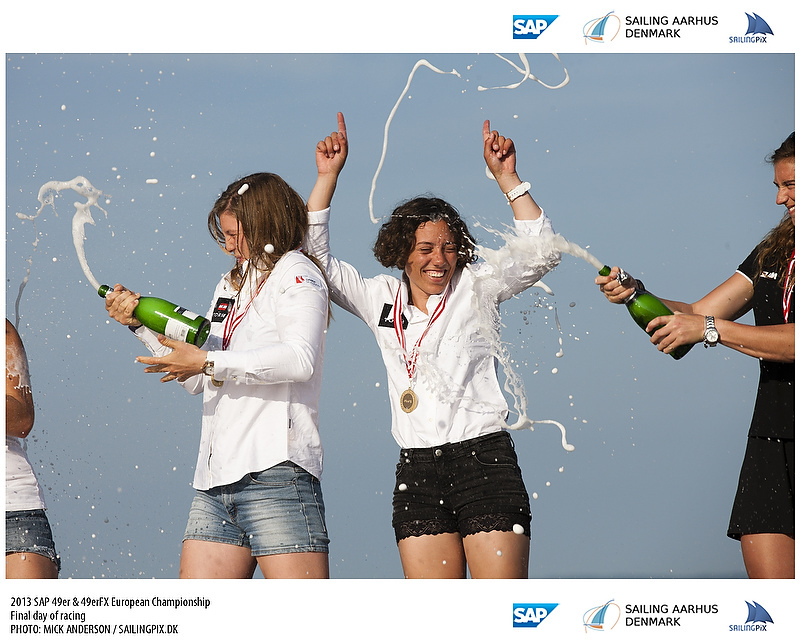 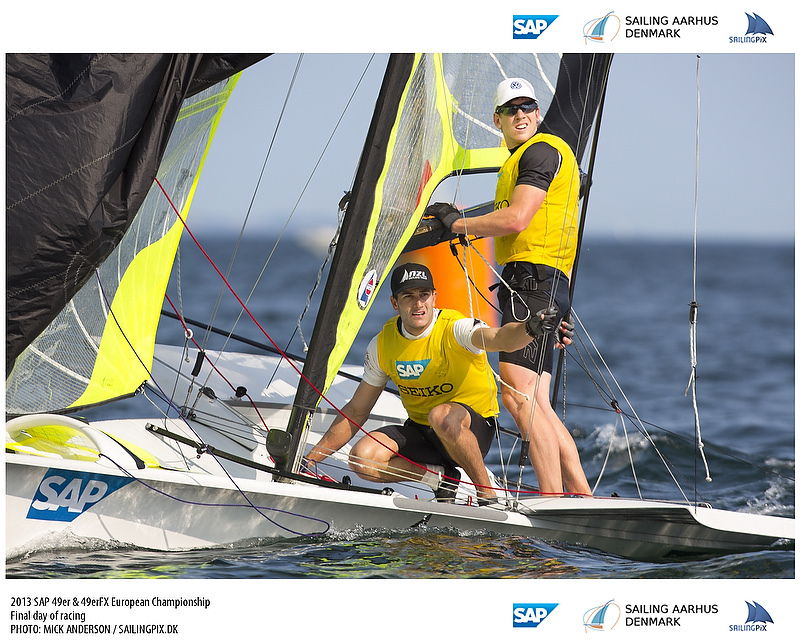 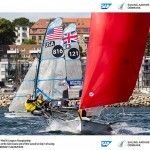 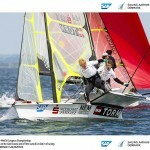 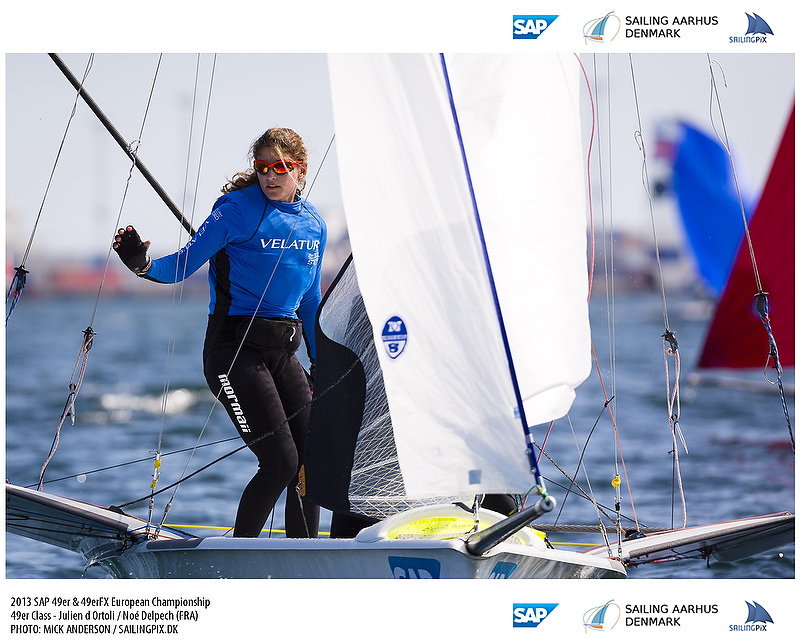 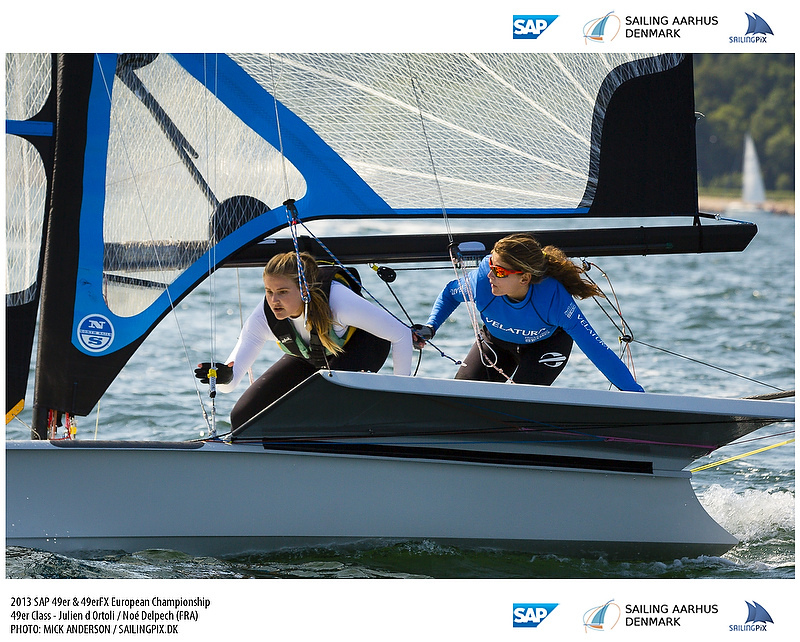 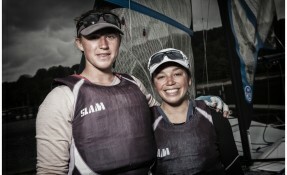 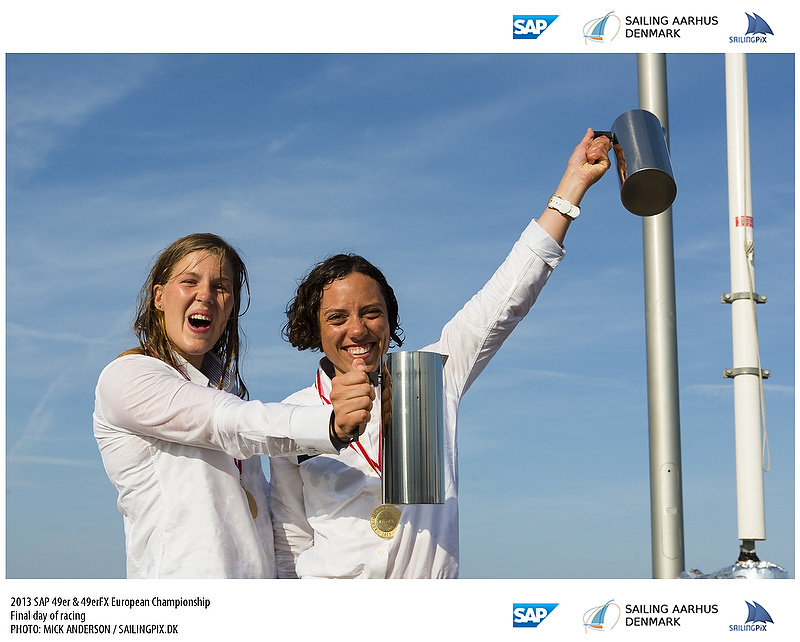 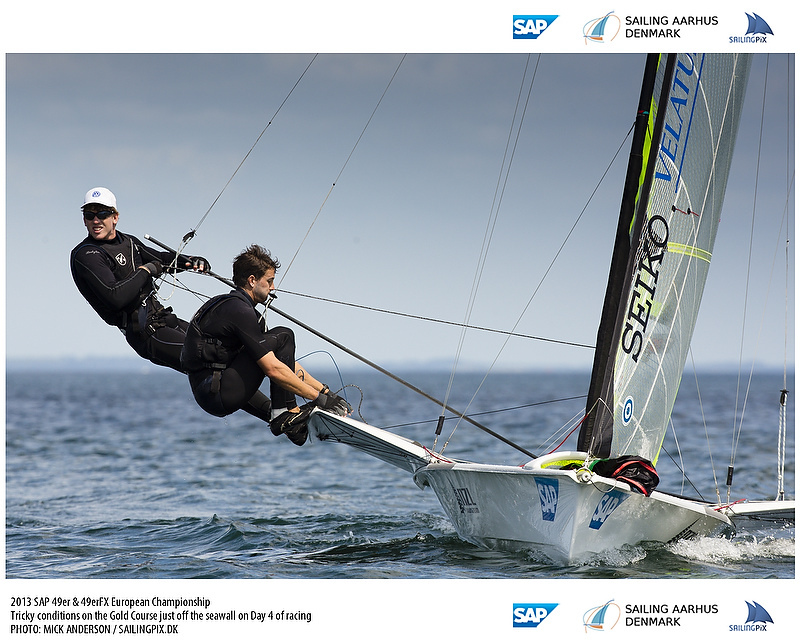 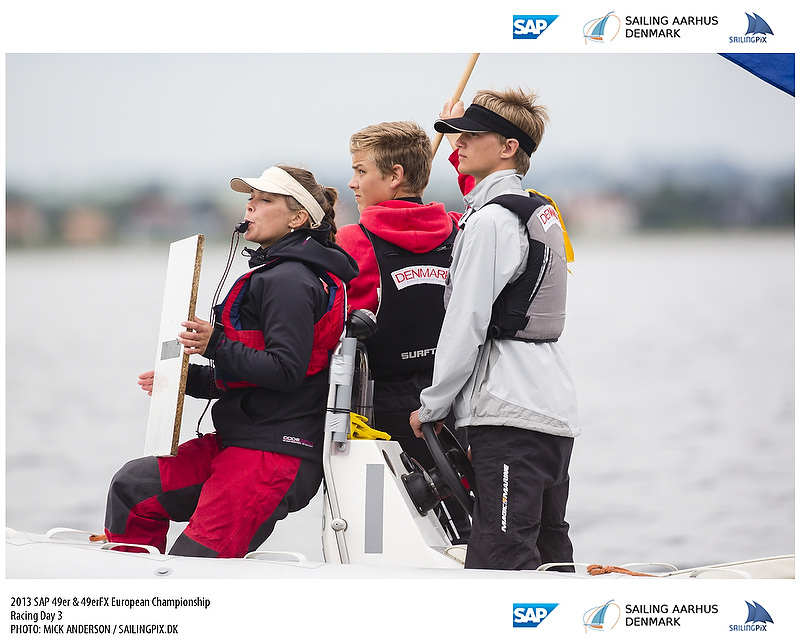 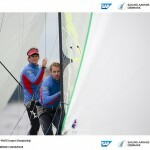 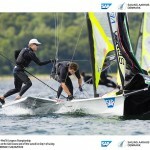 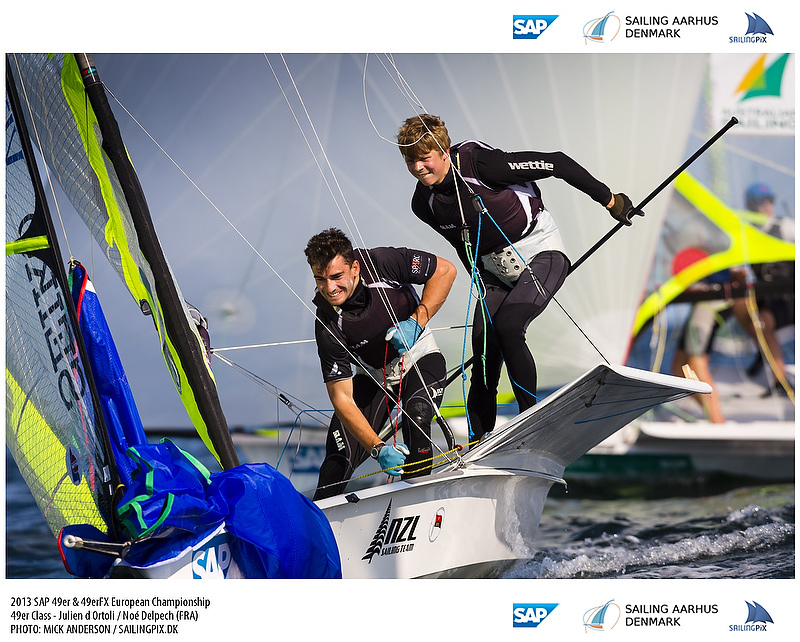 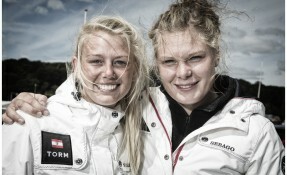 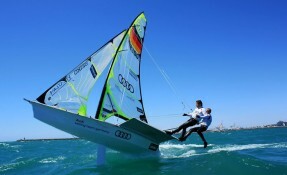 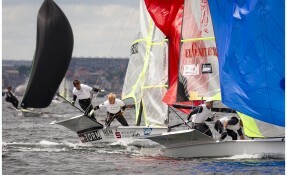 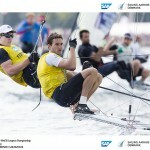 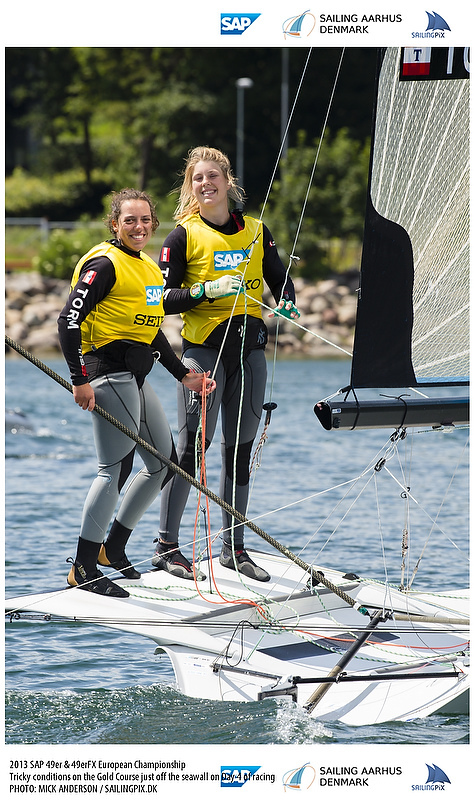 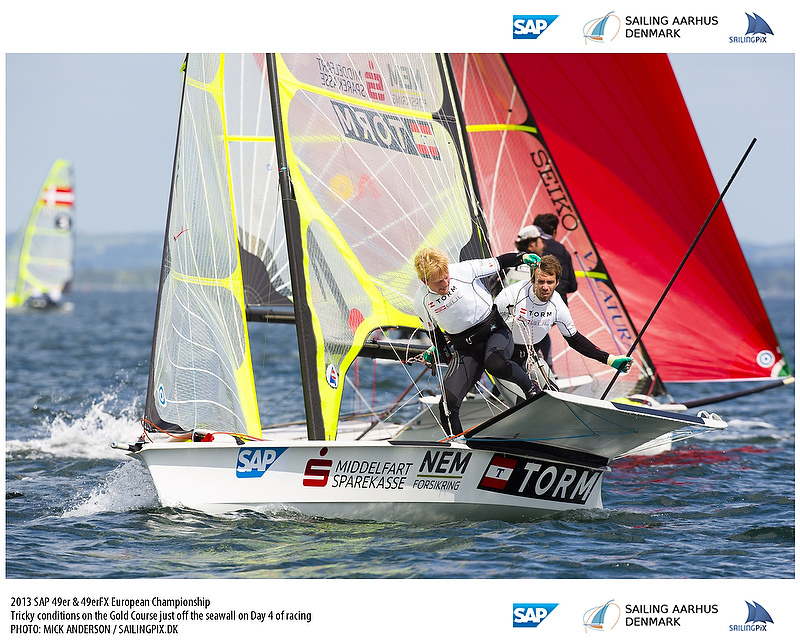 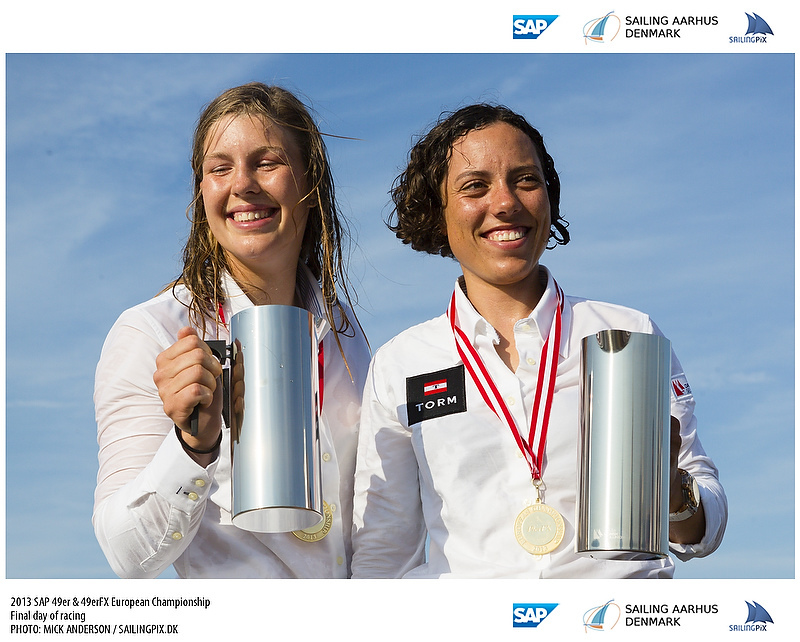 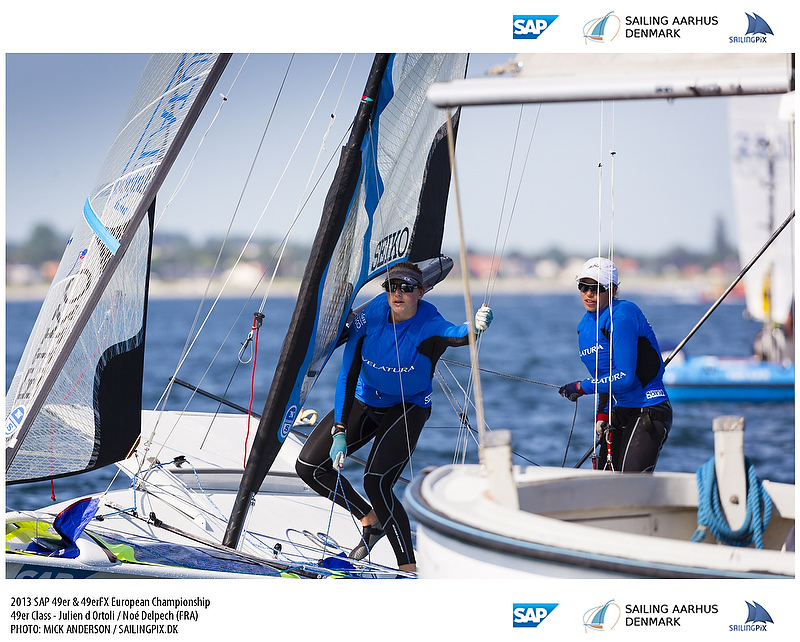 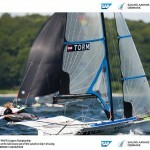 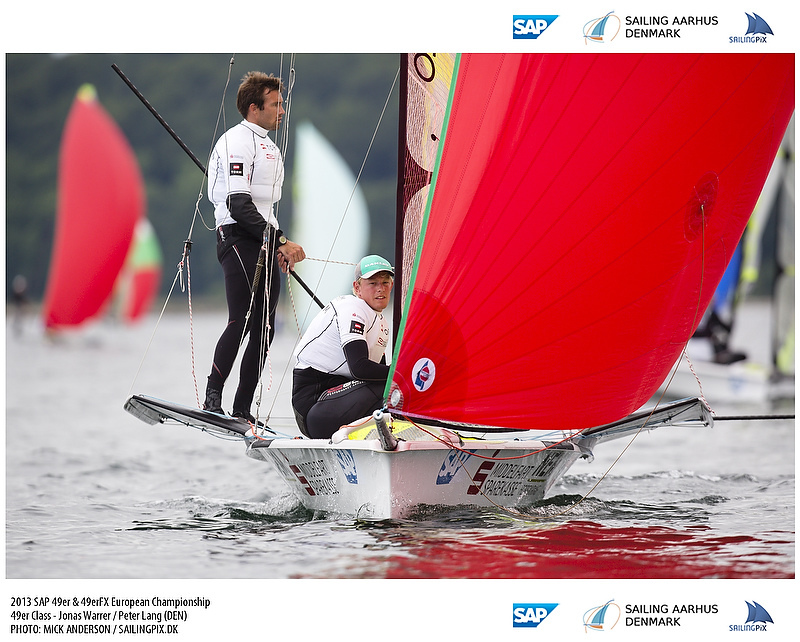 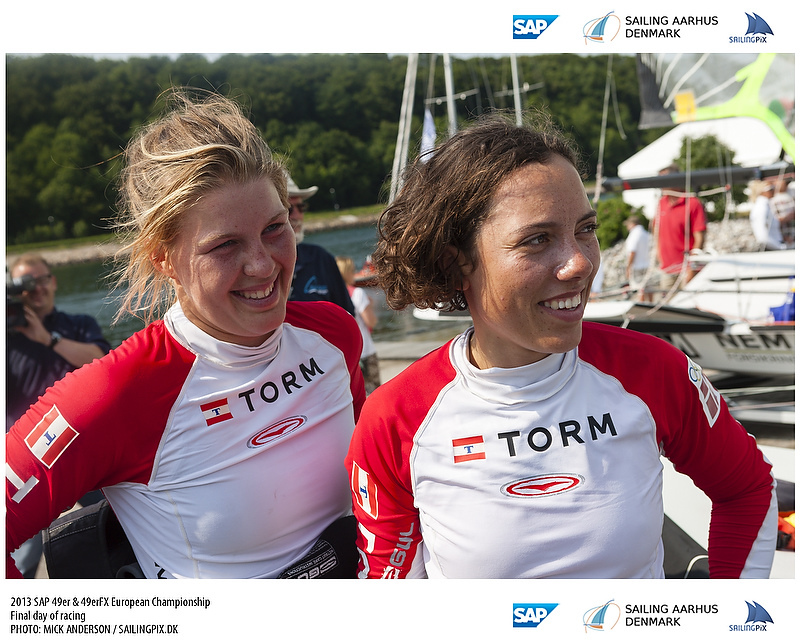 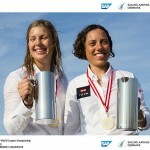 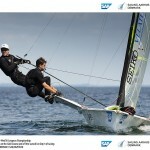 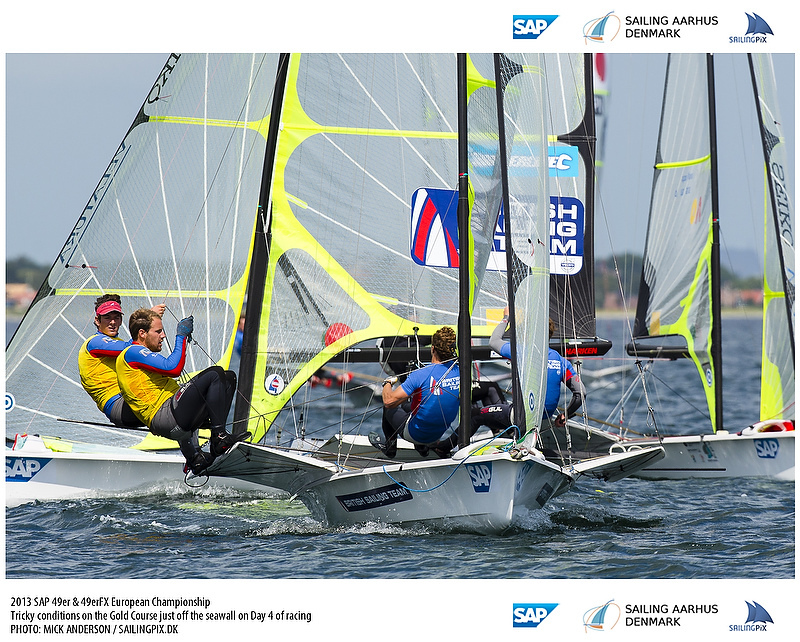 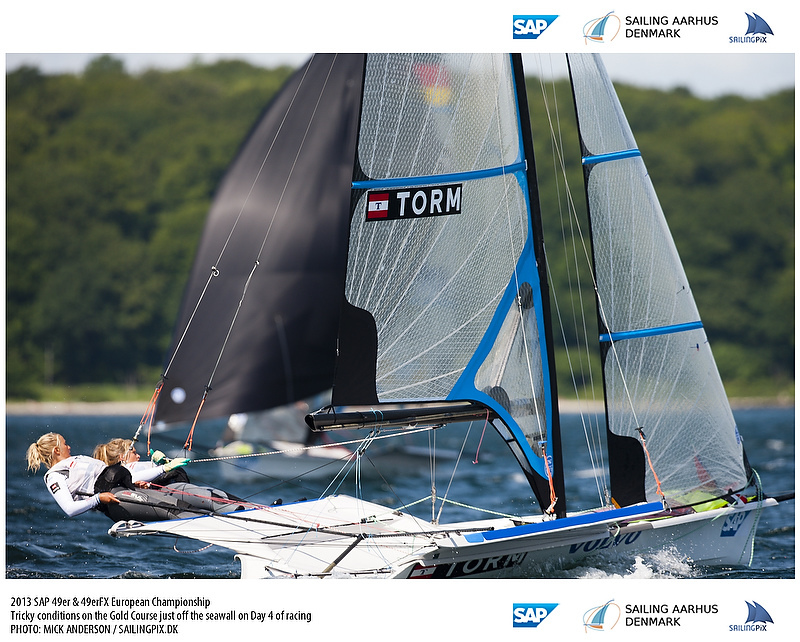 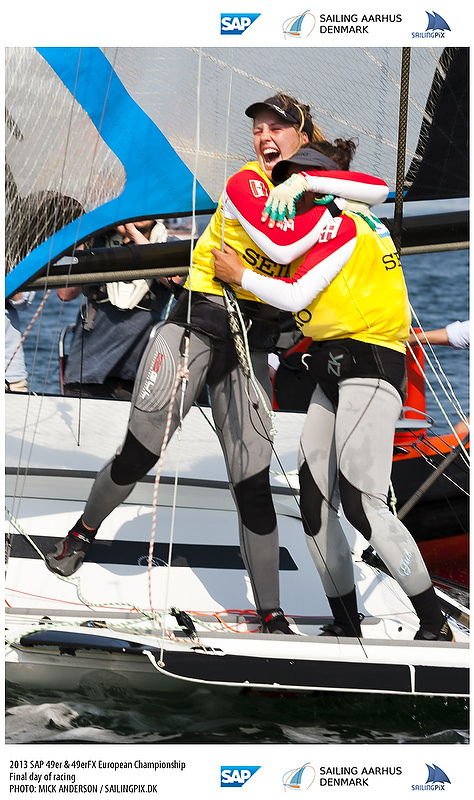 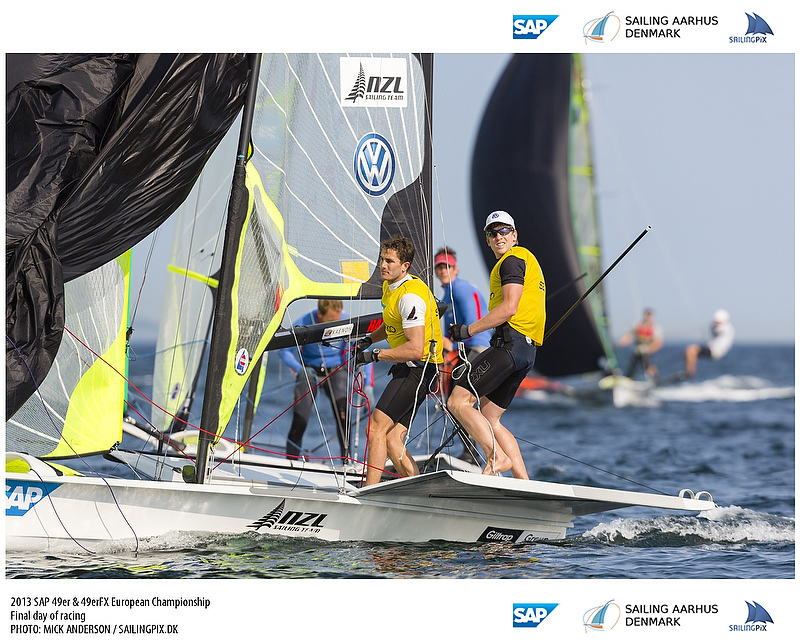 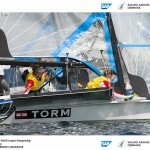 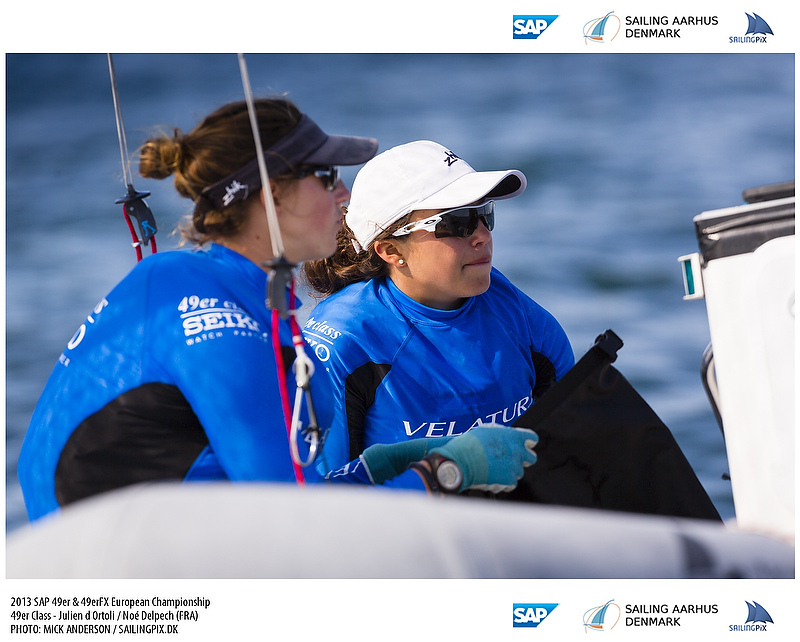 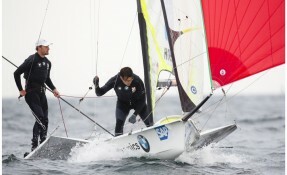 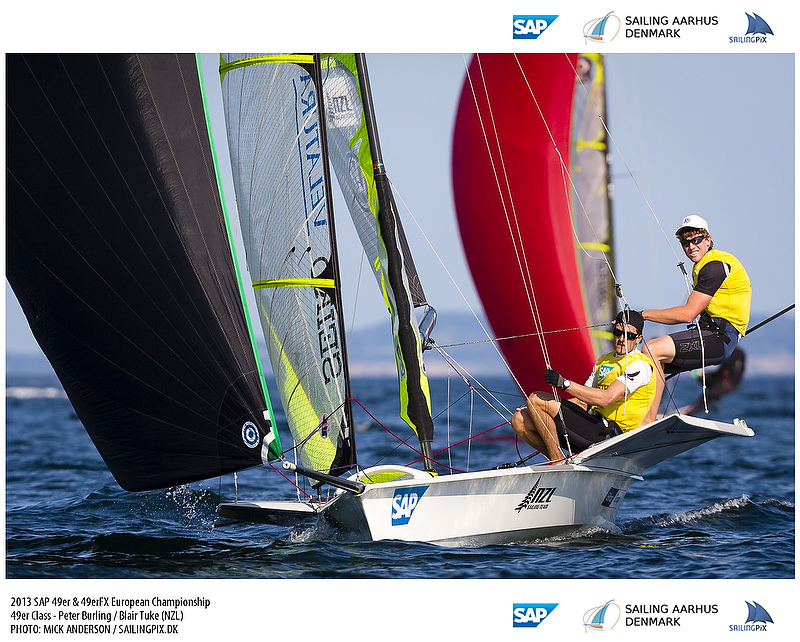 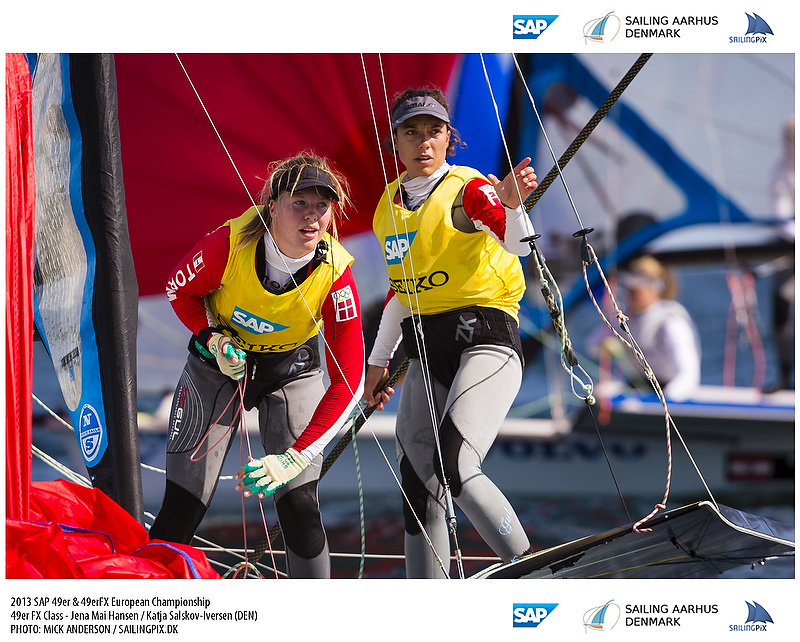 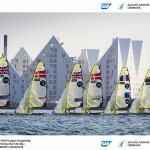 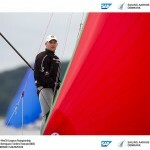 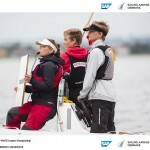 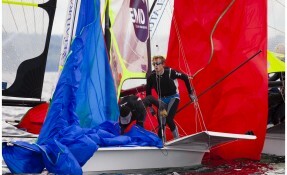 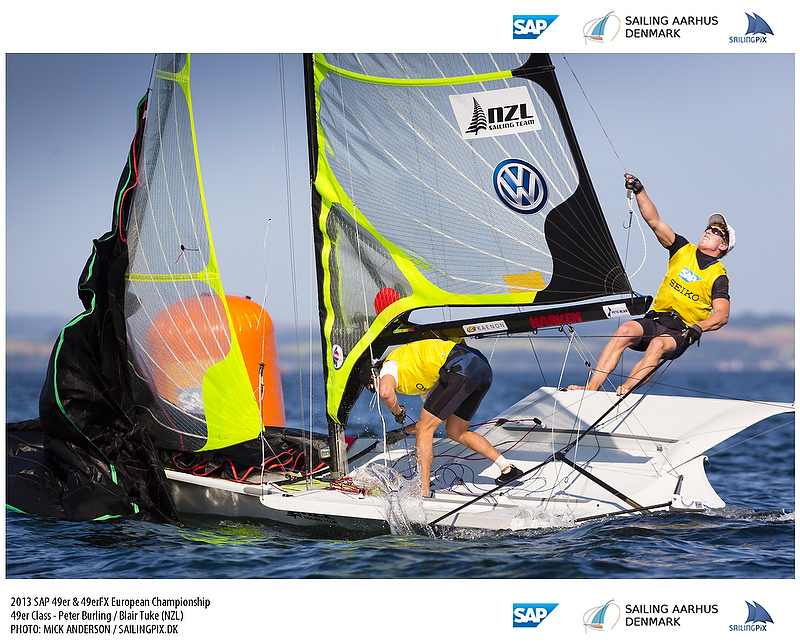 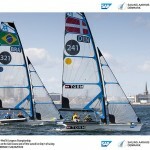 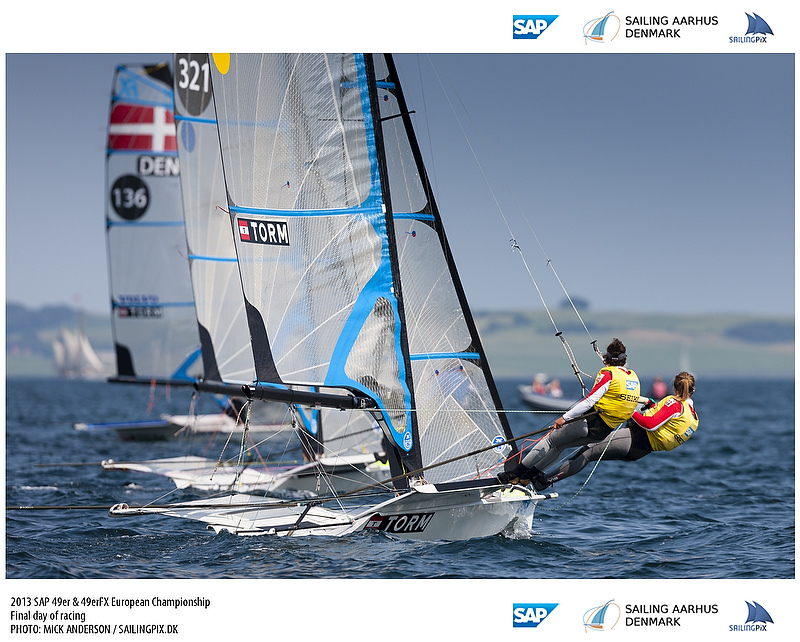 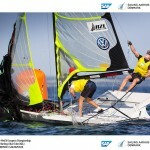 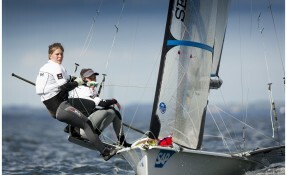 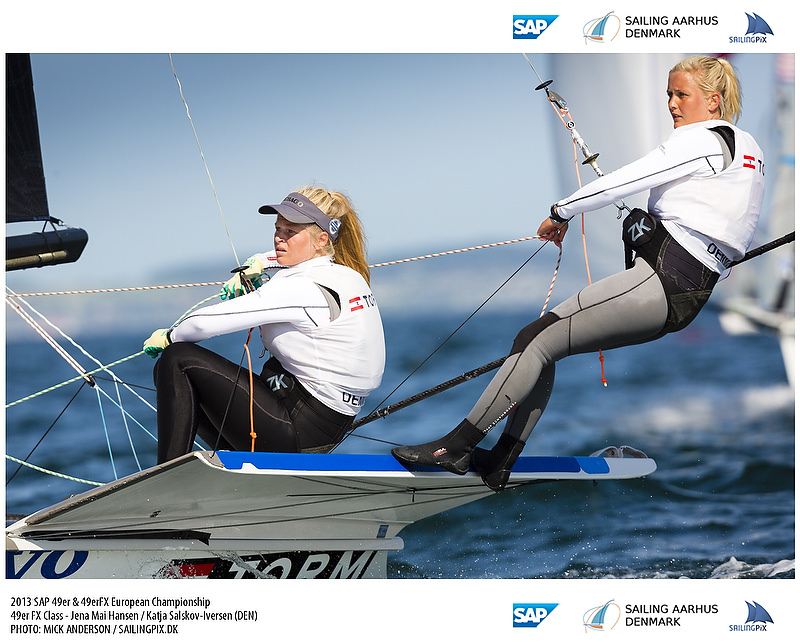 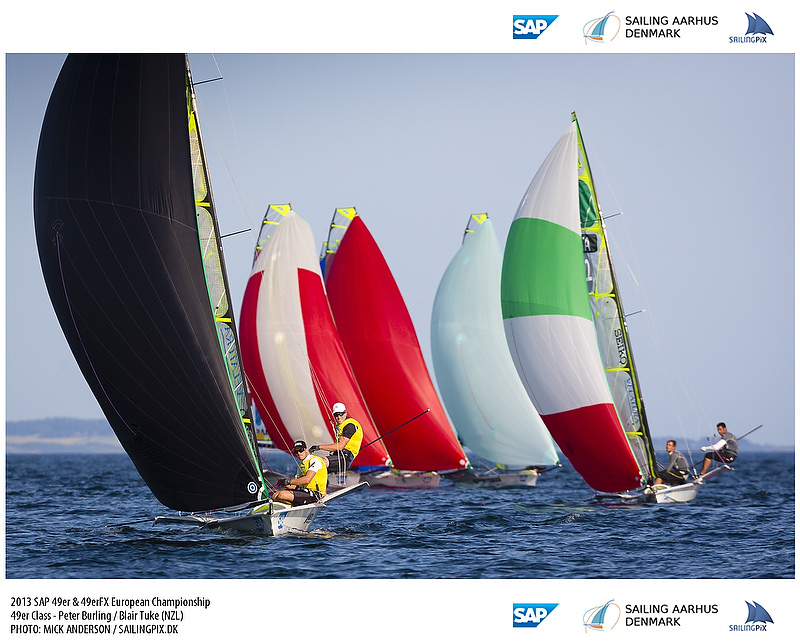 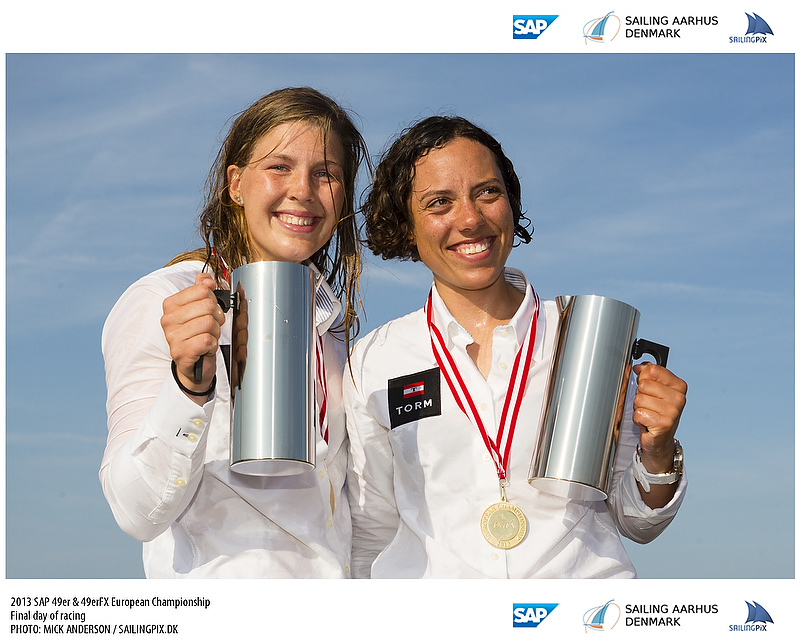 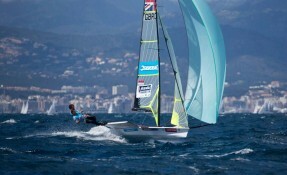 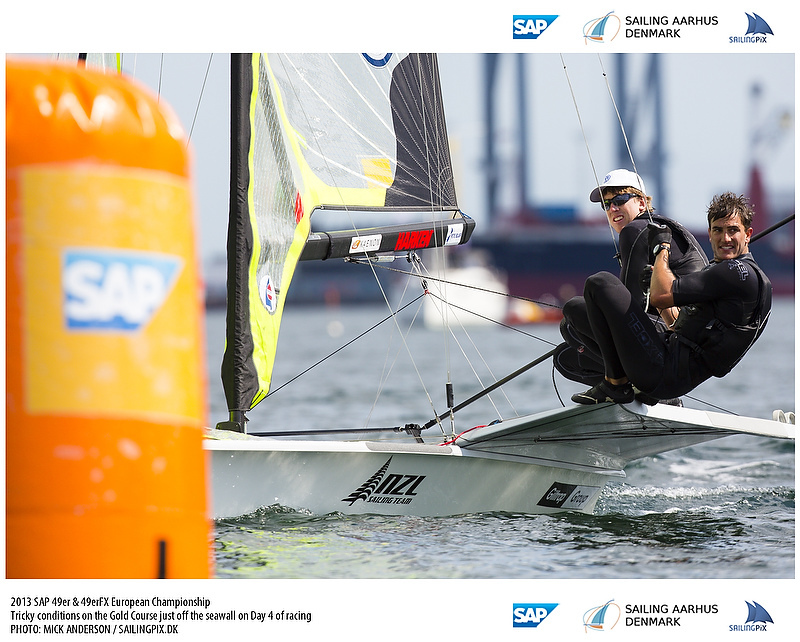 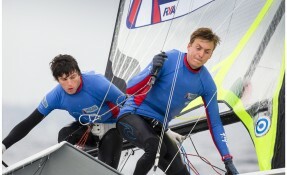 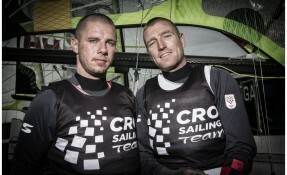 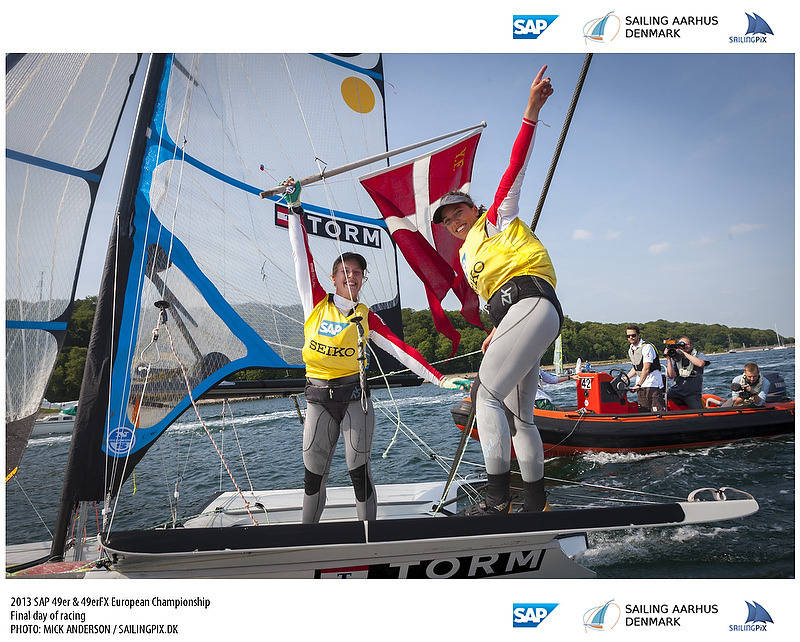 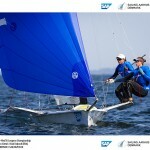 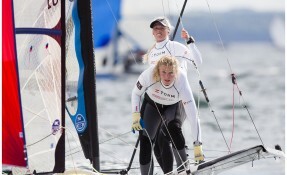 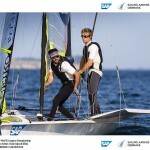 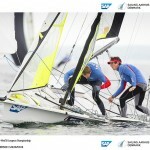 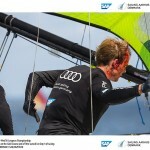 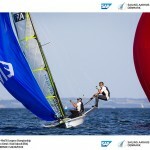 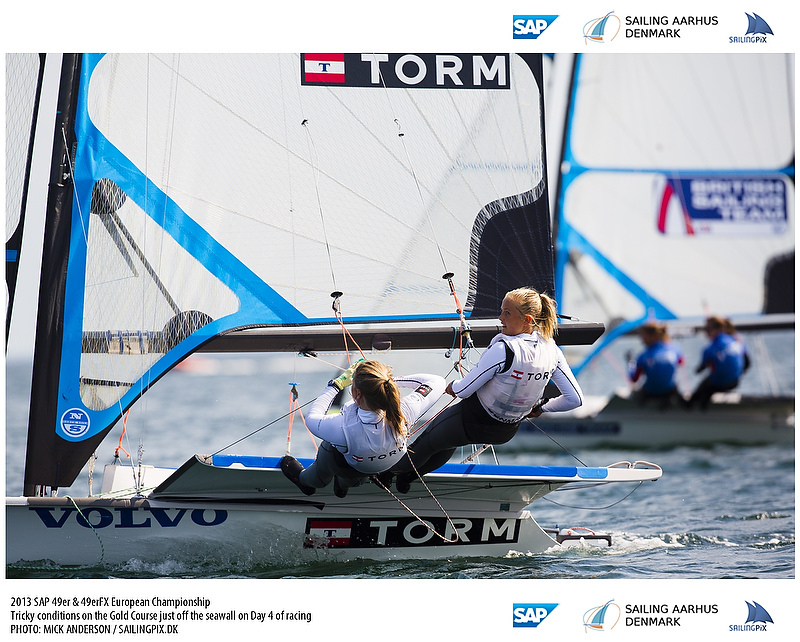 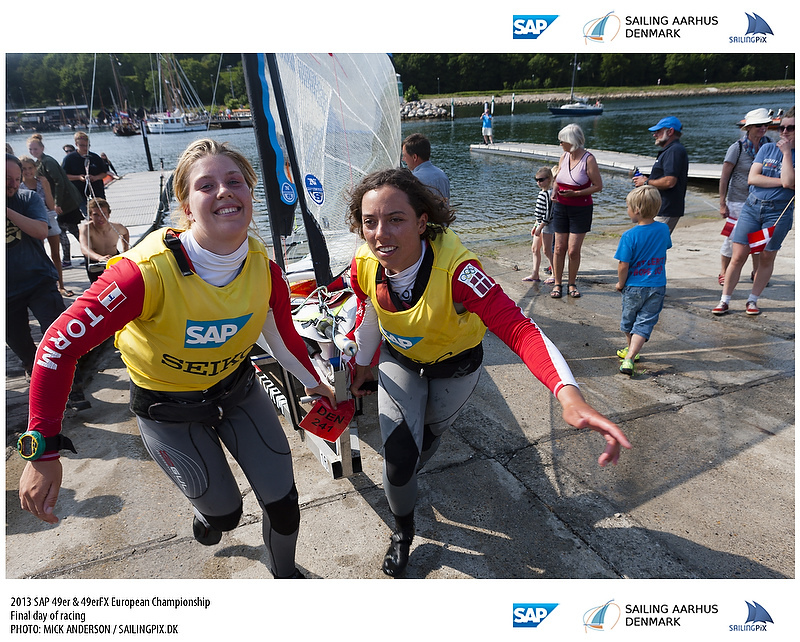 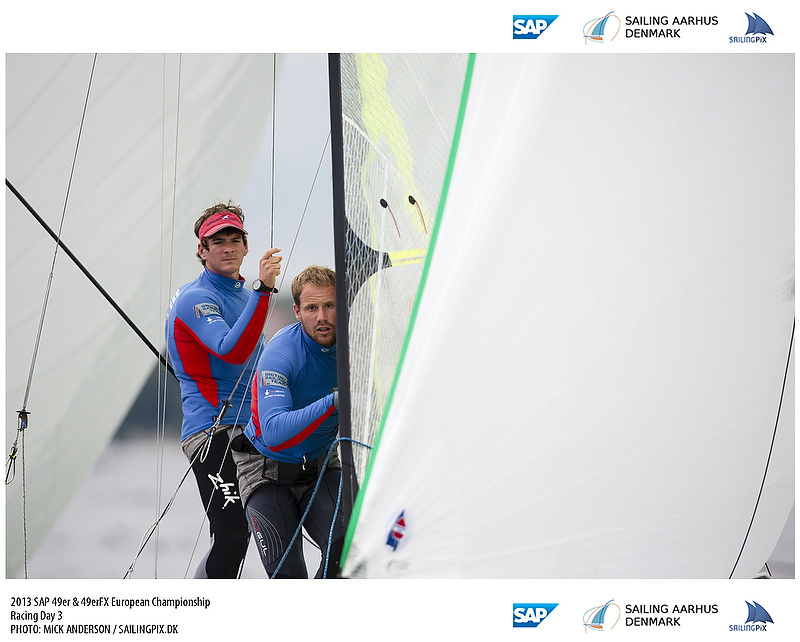 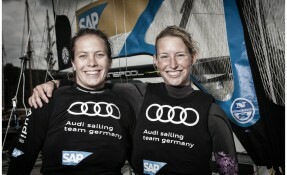 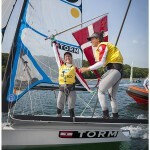 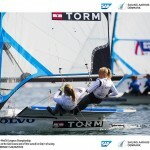 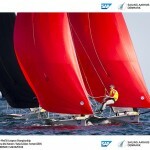 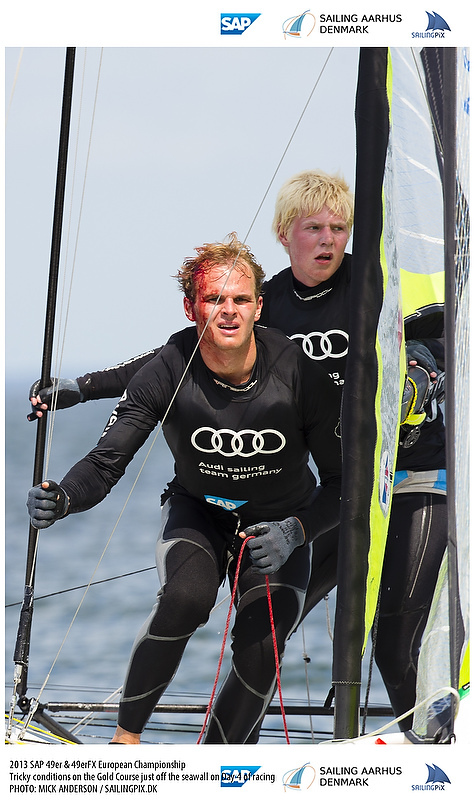 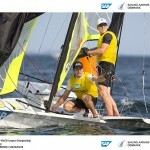 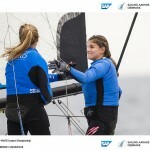 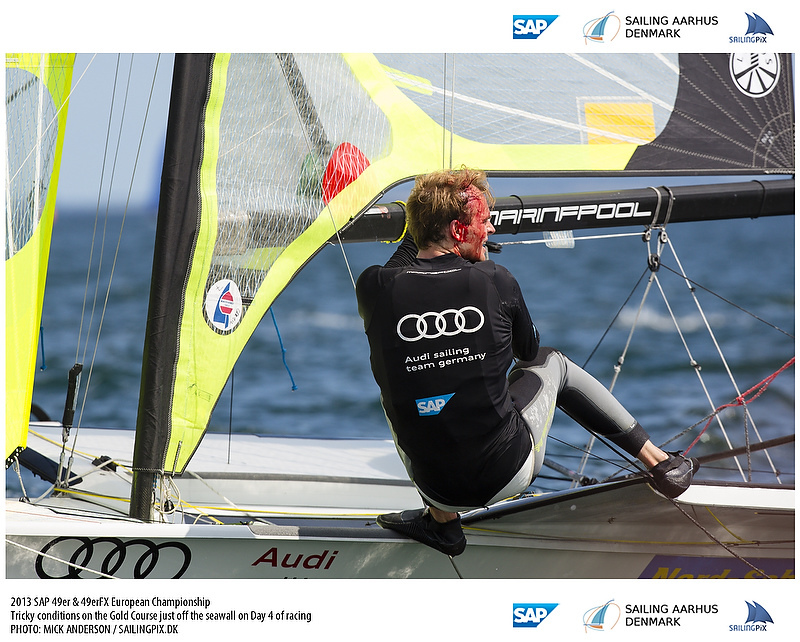 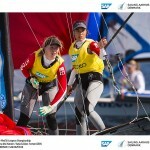 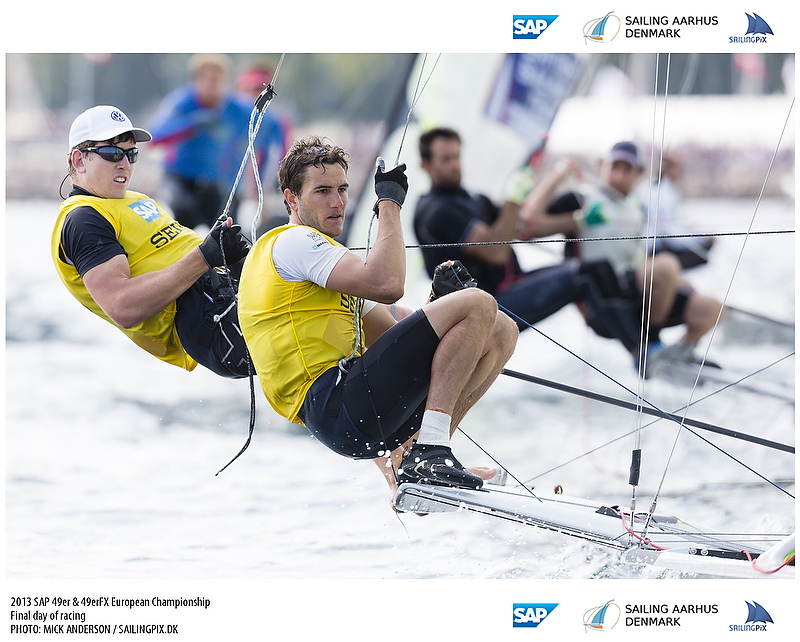 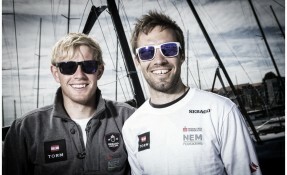 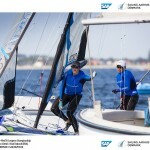 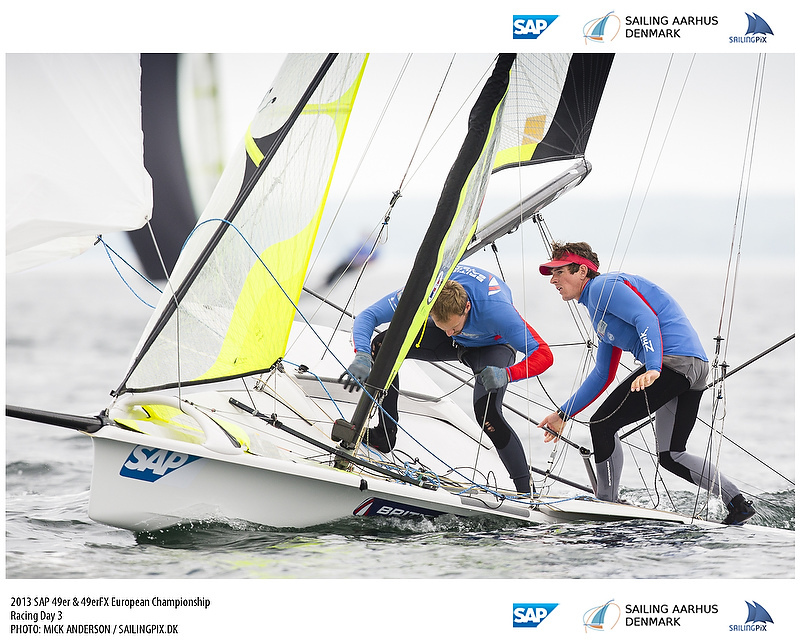 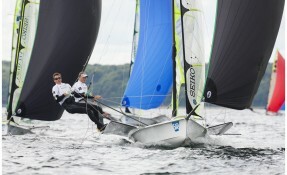 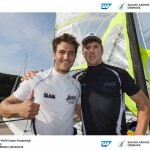 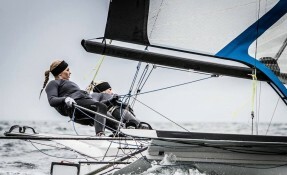 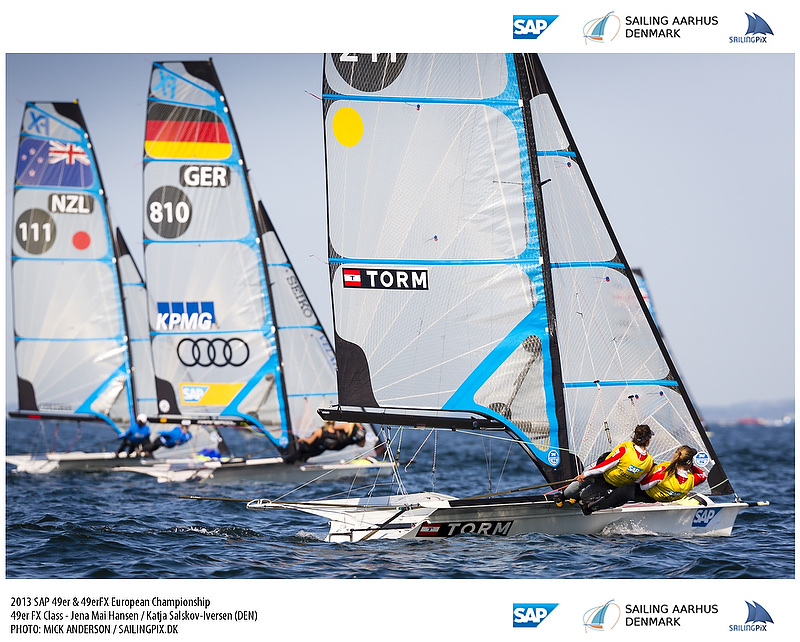 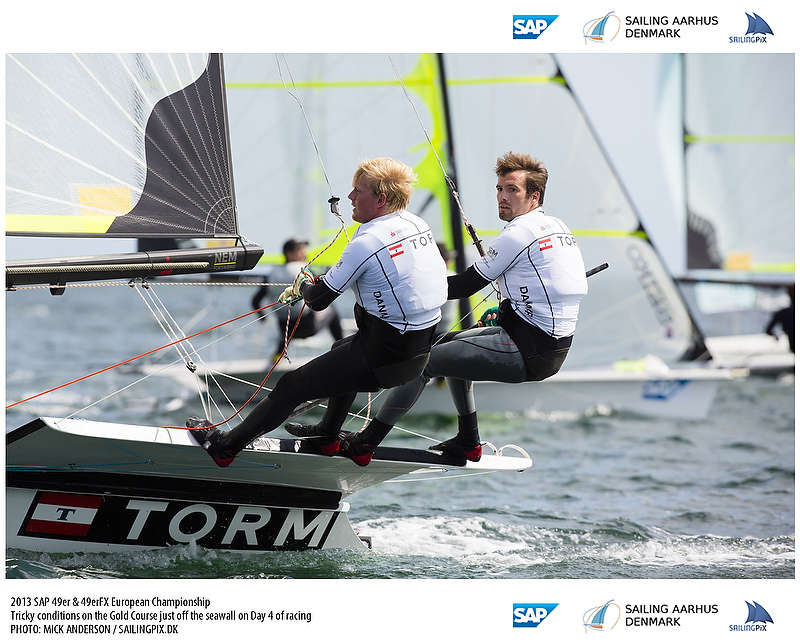 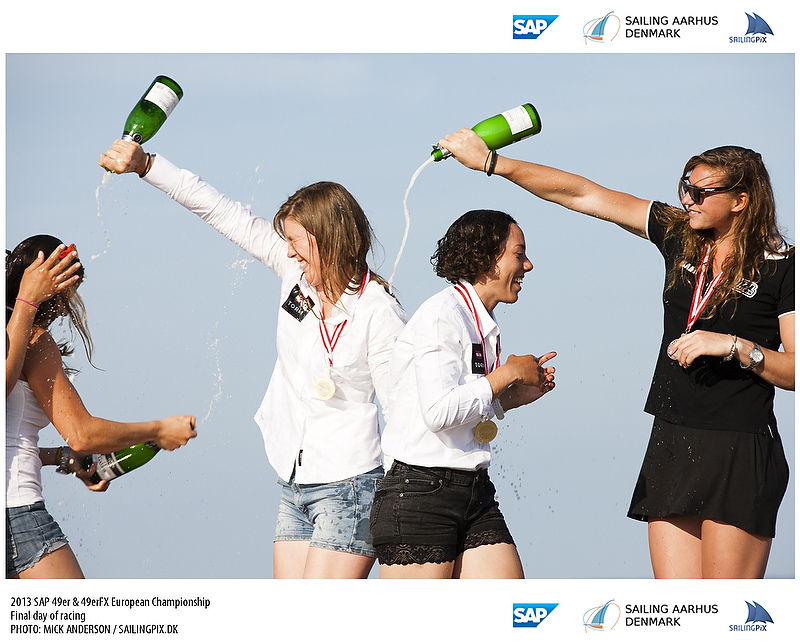 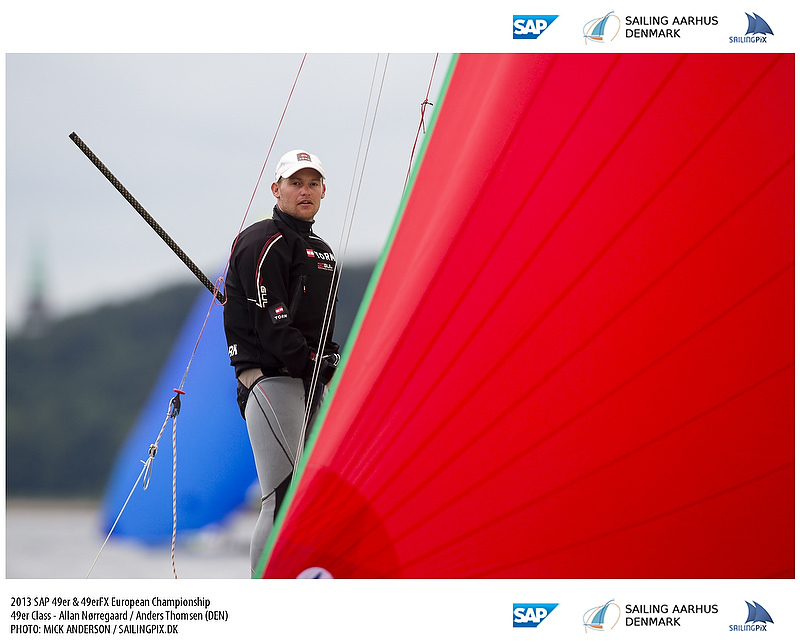 Day 3 – 49er Gold Fleet. 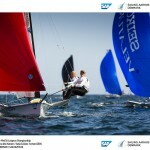 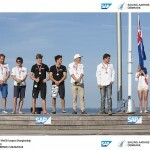 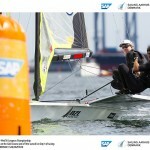 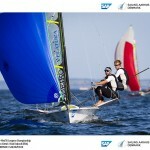 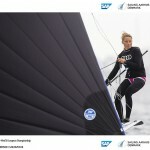 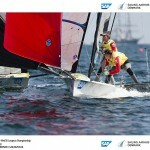 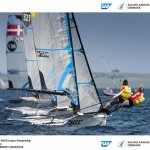 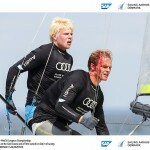 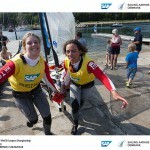 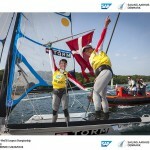 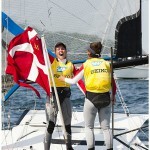 Light winds saw the 49er Gold fleet get only 2 races completed after quite a bit of waiting for good sailing conditions. 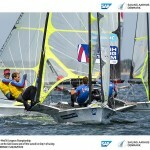 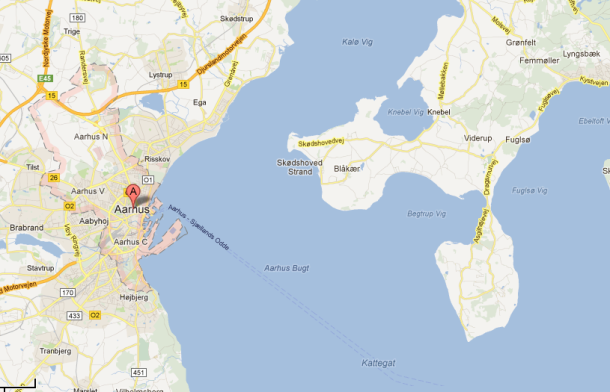 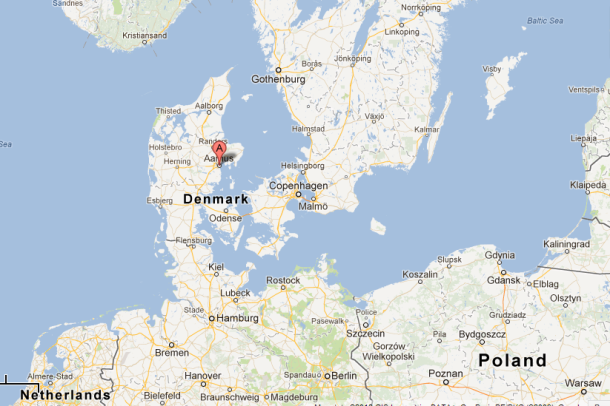 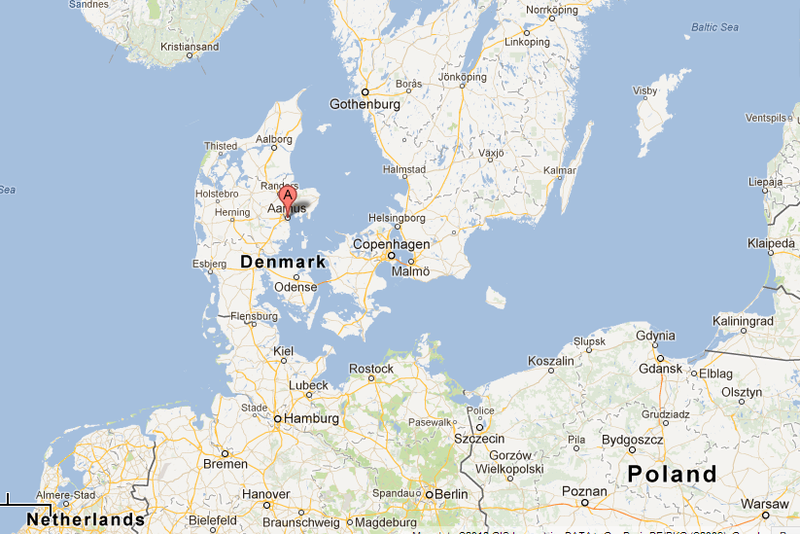 It was also the first day where there was live tracking available for the racing. 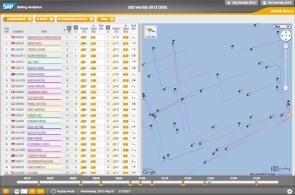 In preparation for the live broadcast tomorrow, only the 49er gold fleet was equipped with trackers today so the competition only applies to them so far. 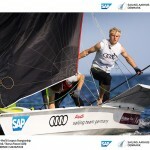 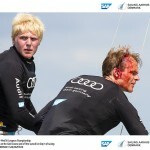 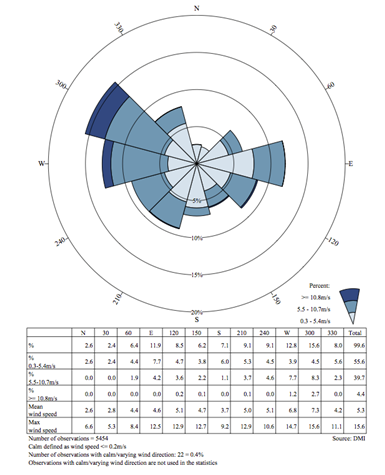 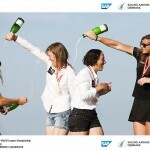 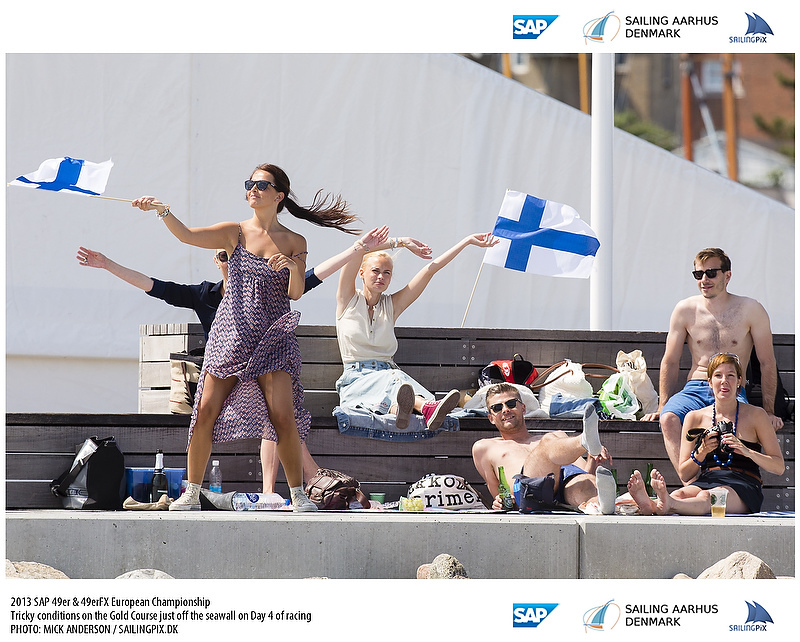 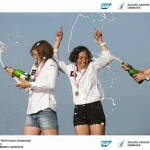 The 49er Class is running two SAP analytics determined competitions this week. 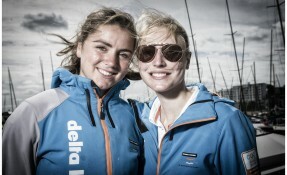 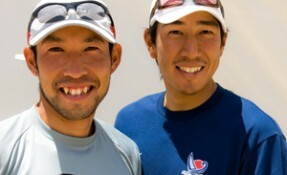 The first is the Seiko King (and Queen) of the downwind. 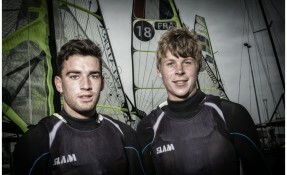 Today we saw the Justice Schmidt and Max Boeme take the lead in these light conditions. 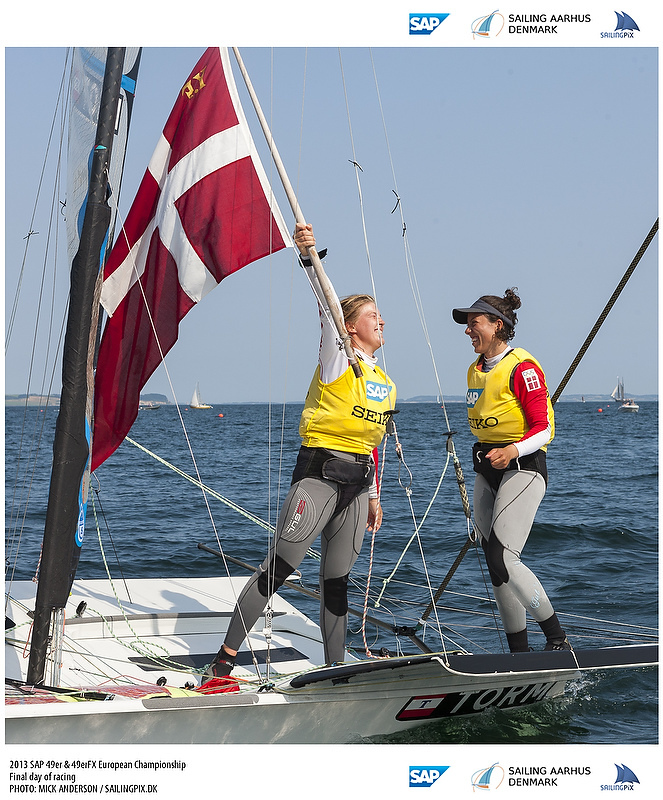 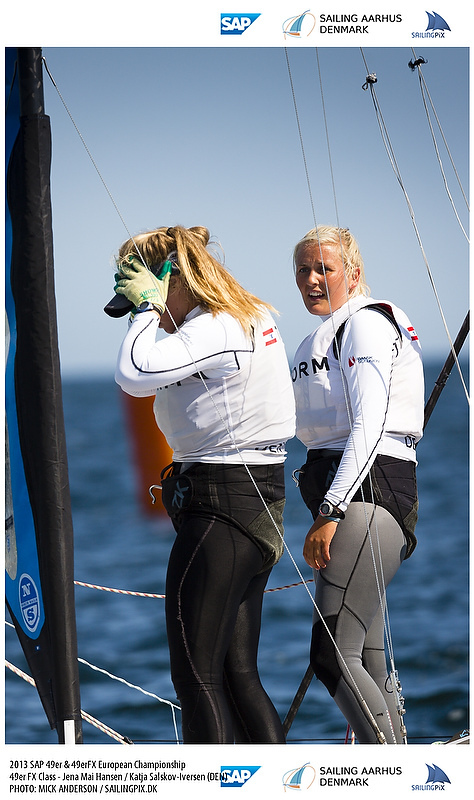 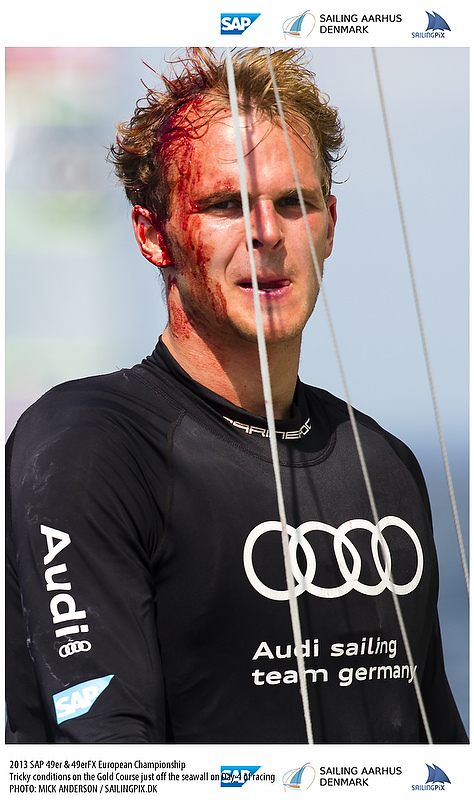 They managed to sail for over 1 minute less downwind today than any other team and will be wearing the purple jerseys tomorrow. 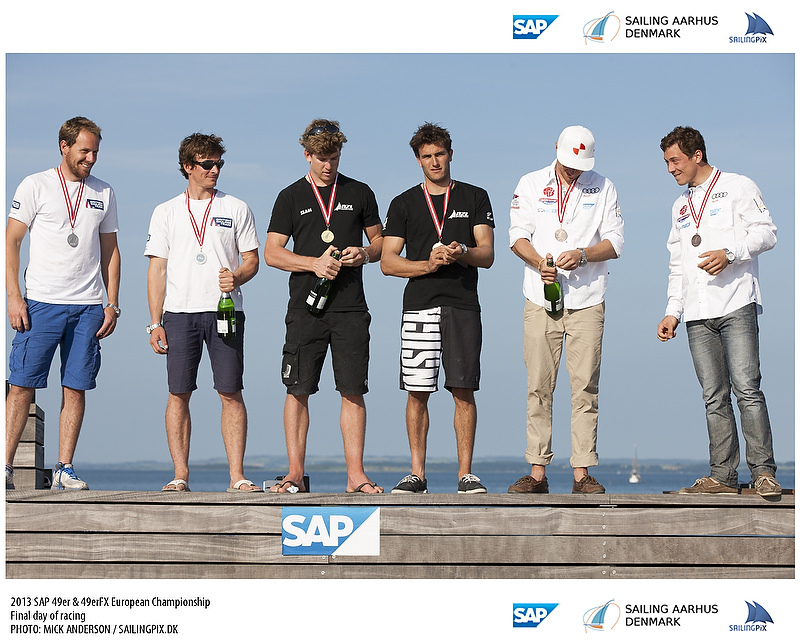 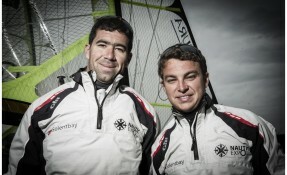 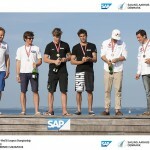 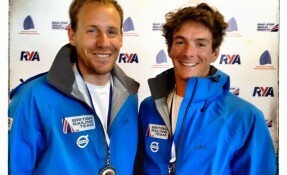 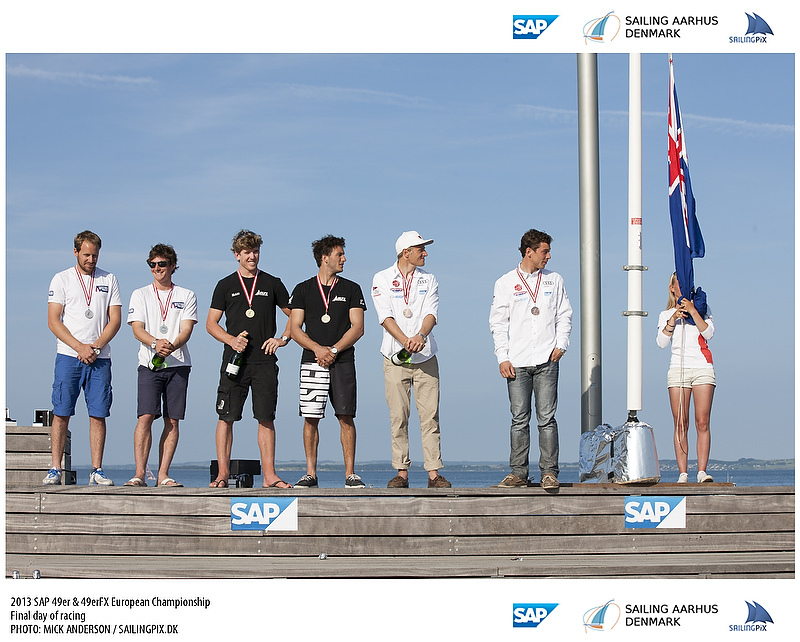 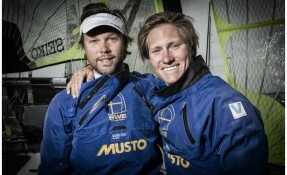 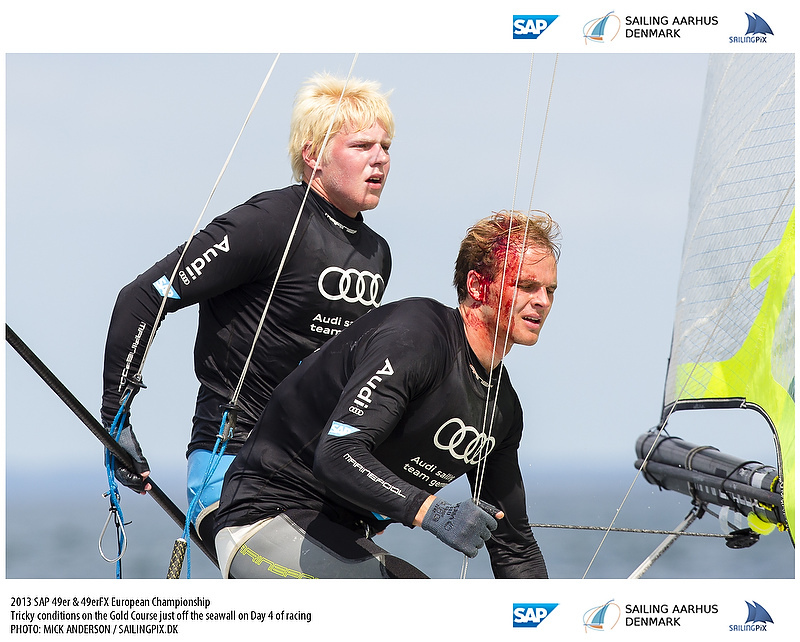 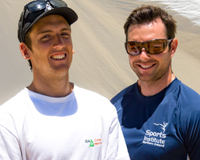 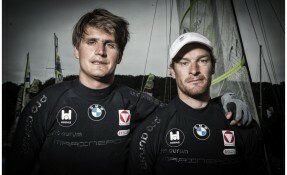 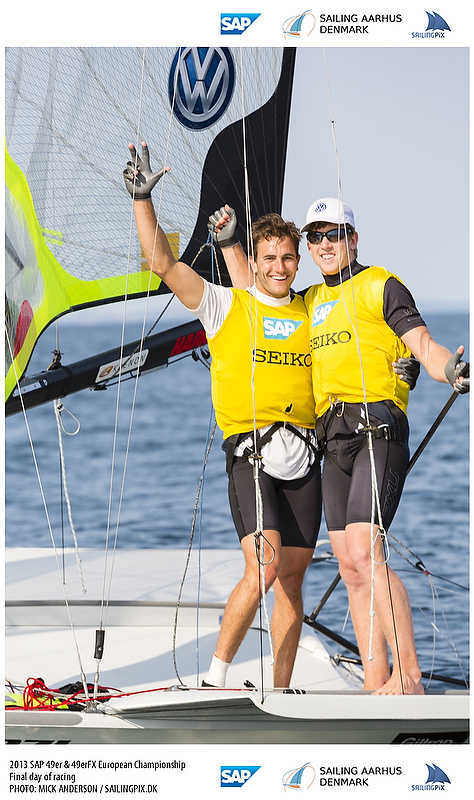 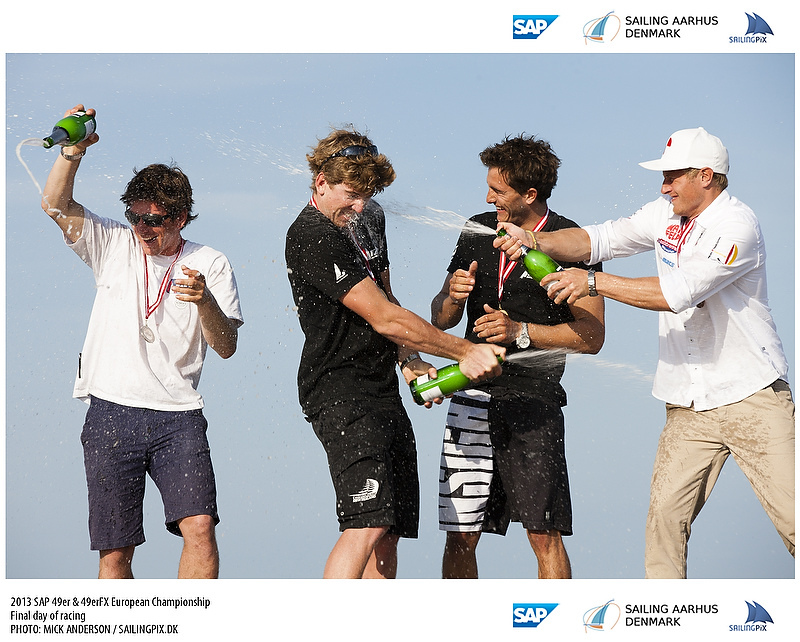 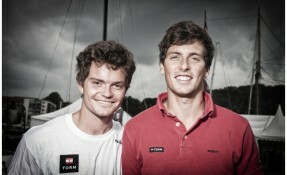 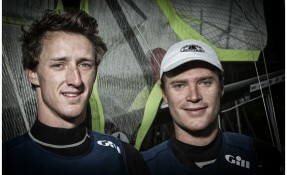 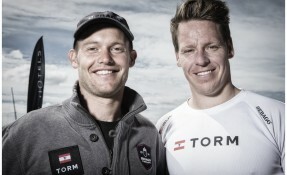 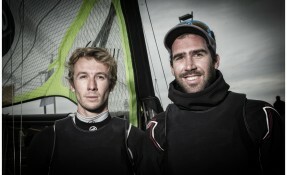 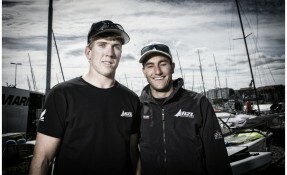 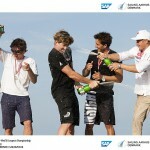 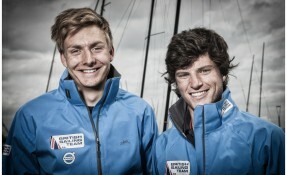 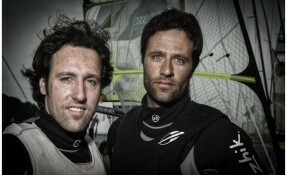 In second place were the Alonso brothers, who are known to be fast downwind in the light. 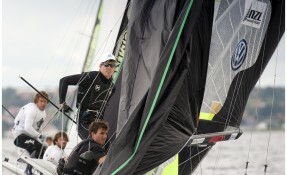 The competition will continue each day to track who is fastest with the kite up. 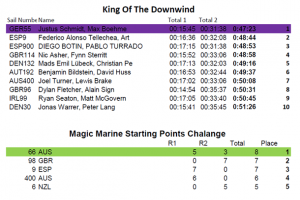 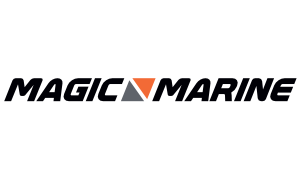 Our next competition is the Magic Marine Starting Points competition. 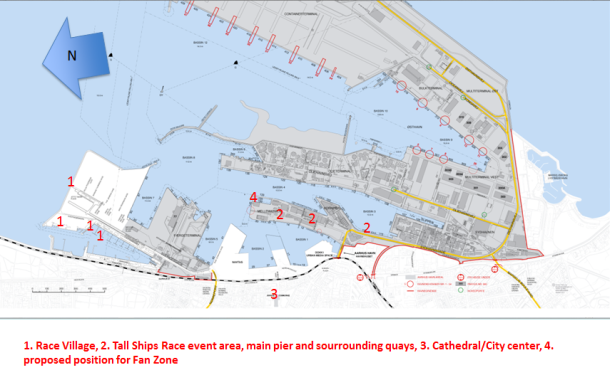 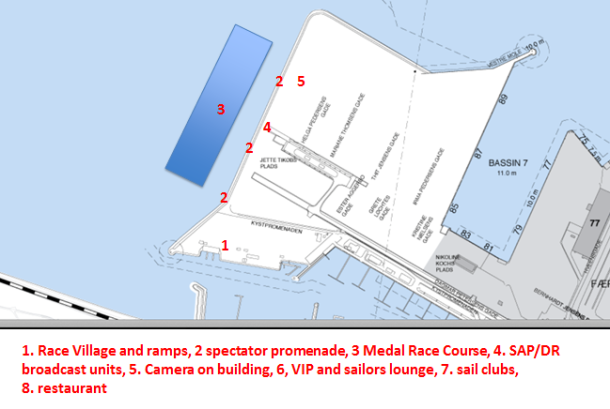 This competition aims to highlight how important starting is to sailboat racing by looking at who does well by the top mark, who is close to the line at the gun, and who has a lane after 1 minute. 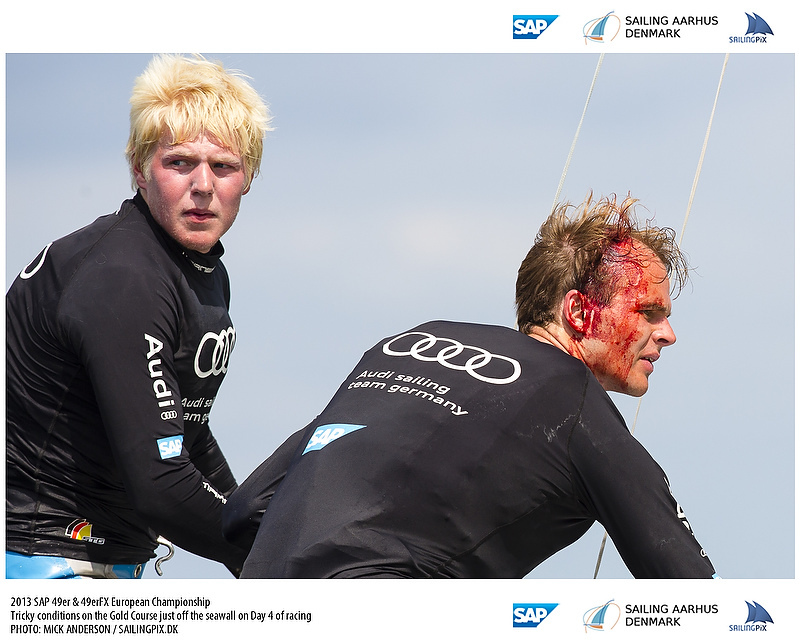 Our winners today are Will Phillips and and Rhys Mara. 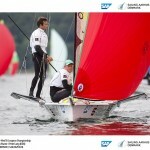 They scored 8 points and were the only people in the competition today to score significantly in both races. 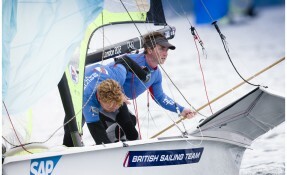 They were followed closely by Dave Evans and Rick Peacock who had an outstanding day and won the second race. 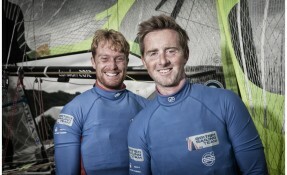 Will and Rhys will be wearing the green jerseys tomorrow and have won Magic Marine gift certificates.